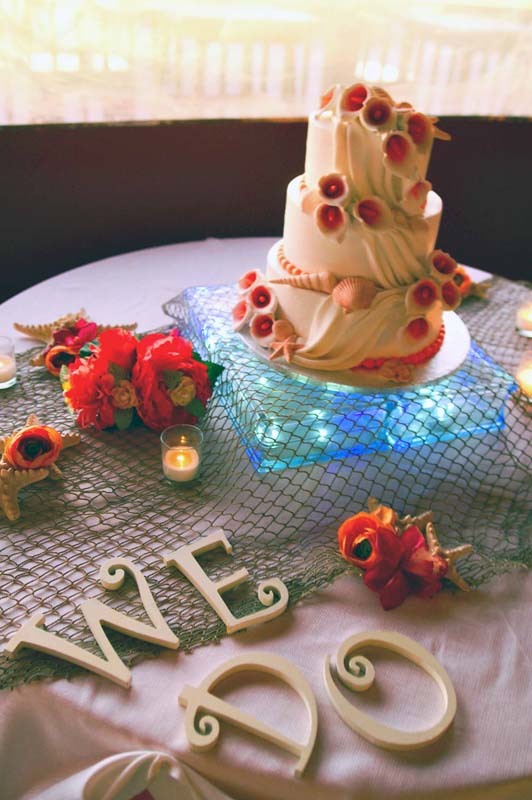 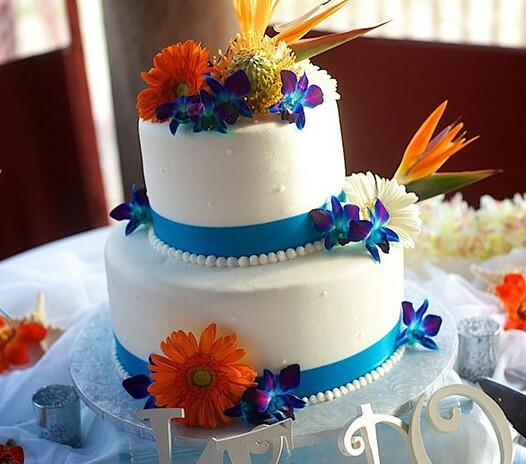 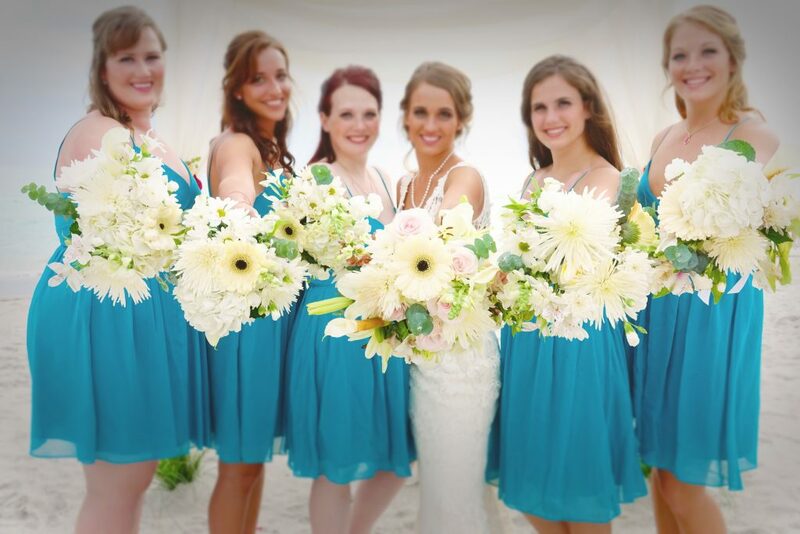 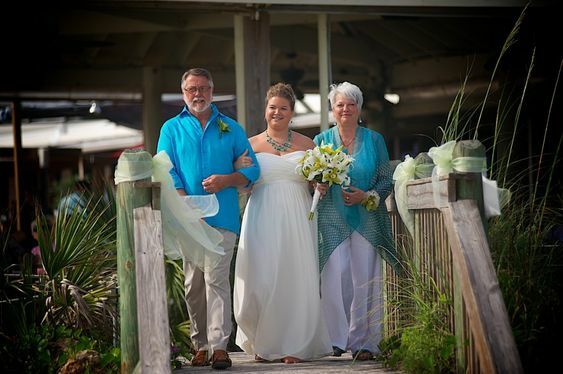 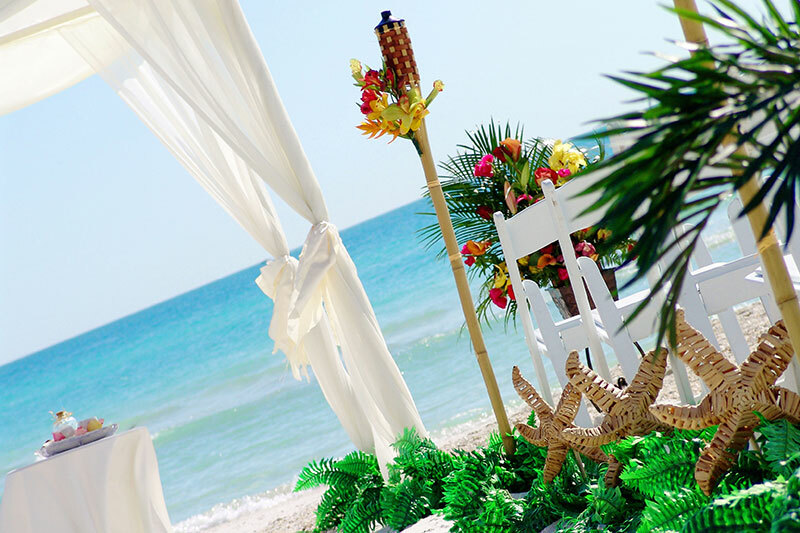 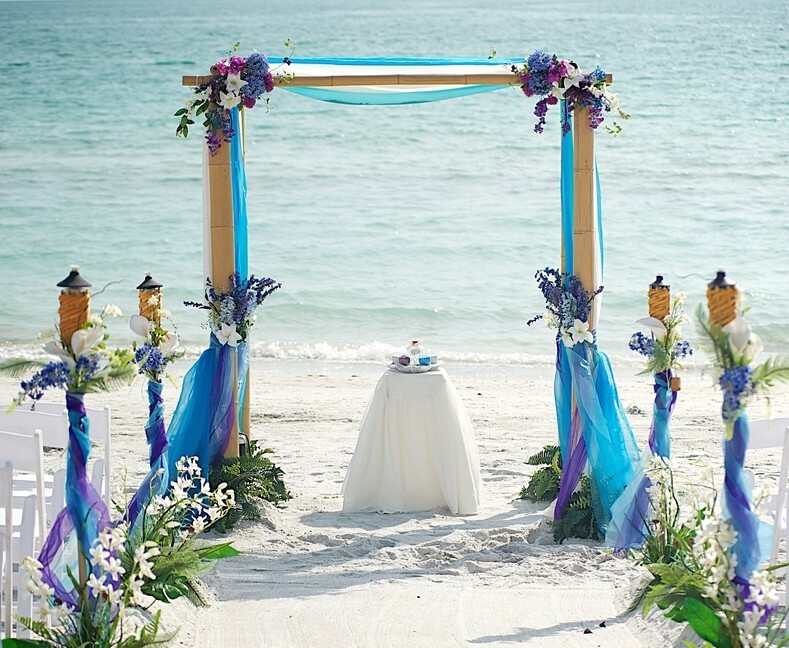 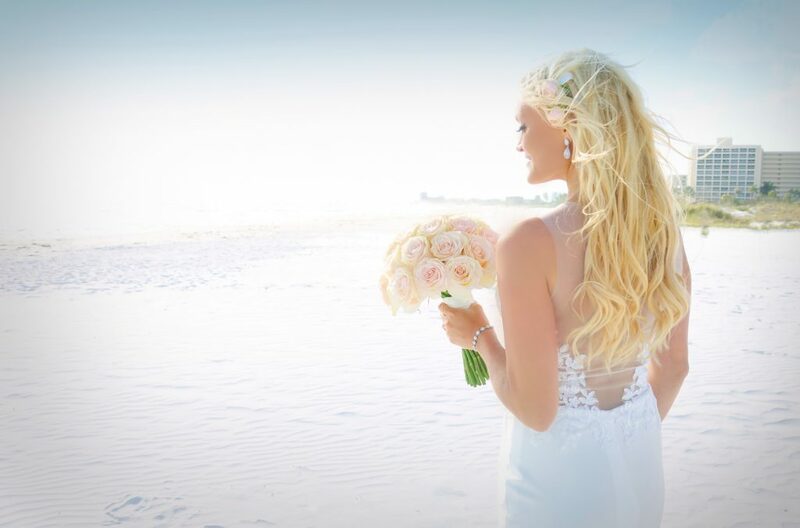 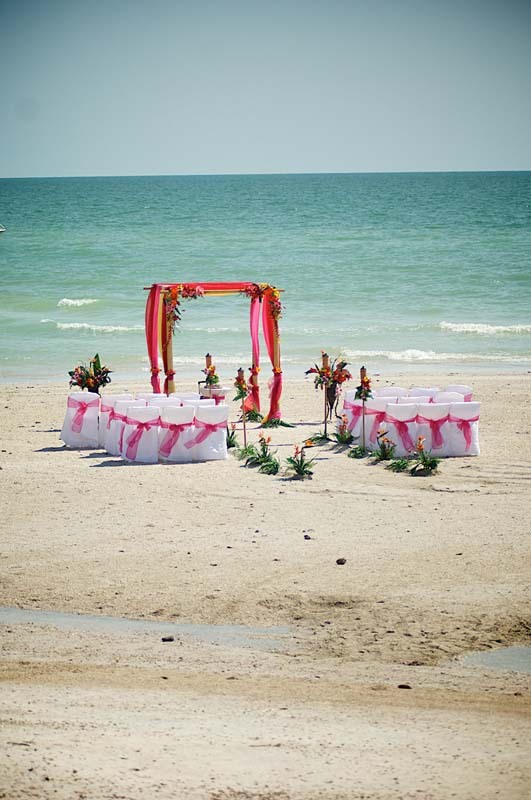 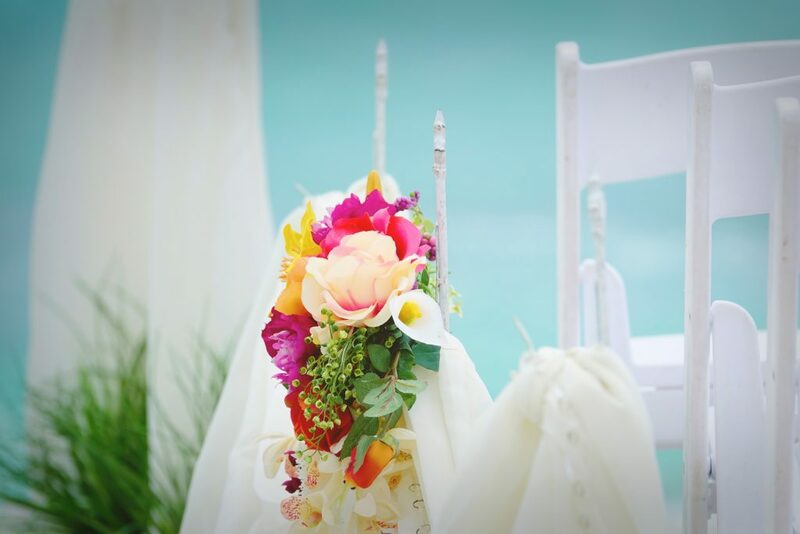 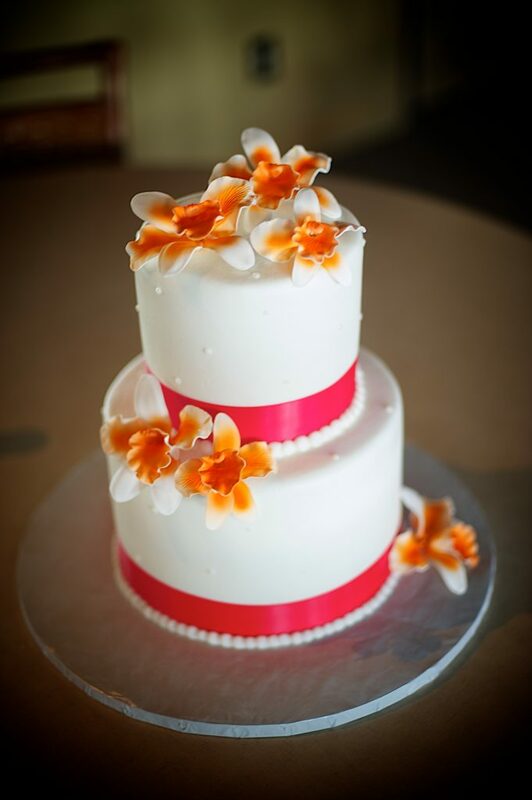 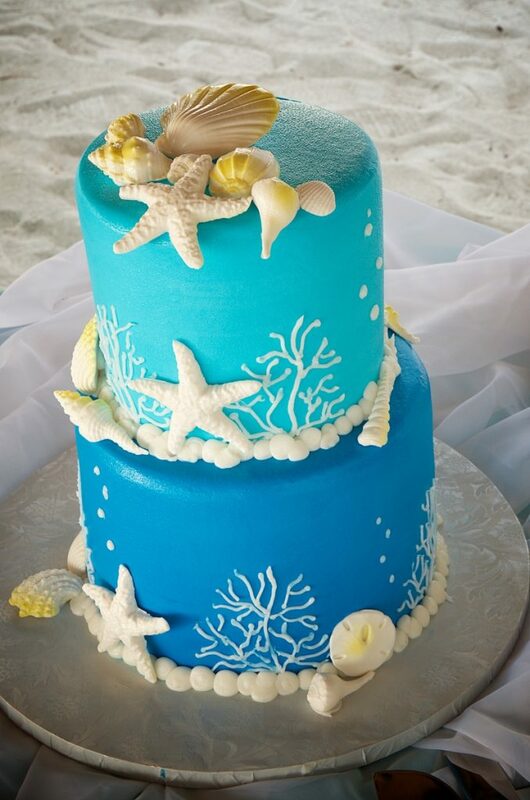 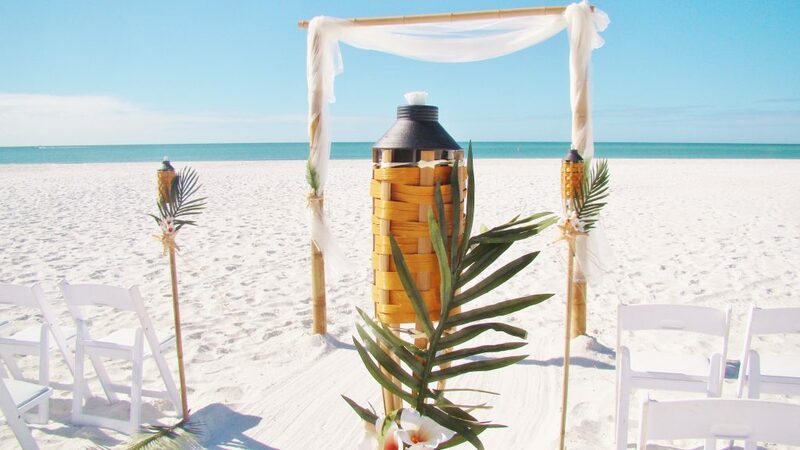 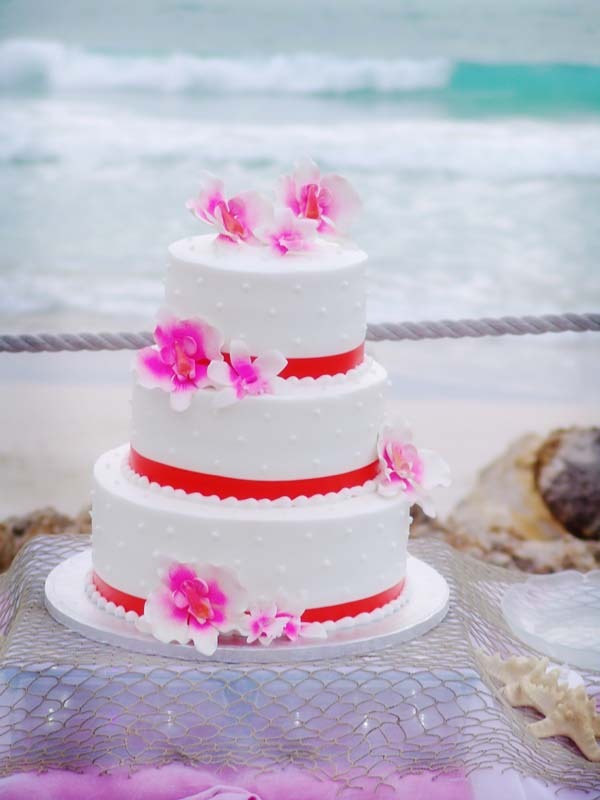 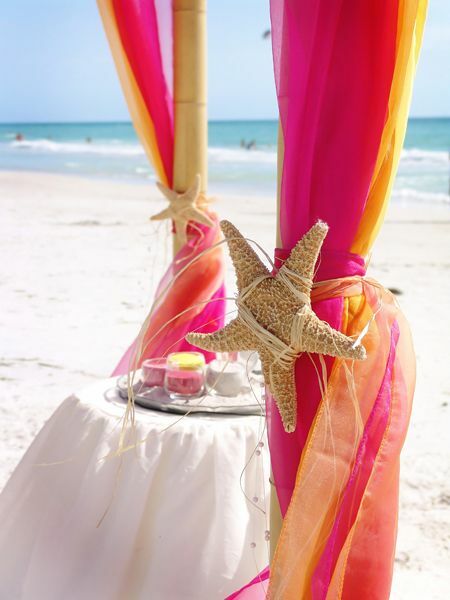 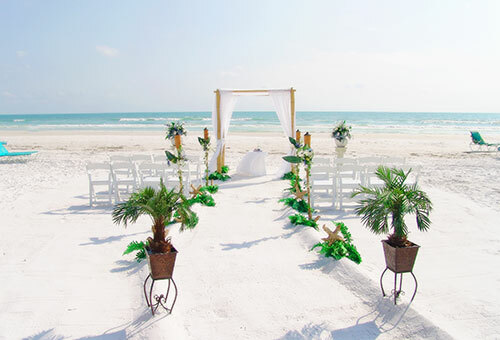 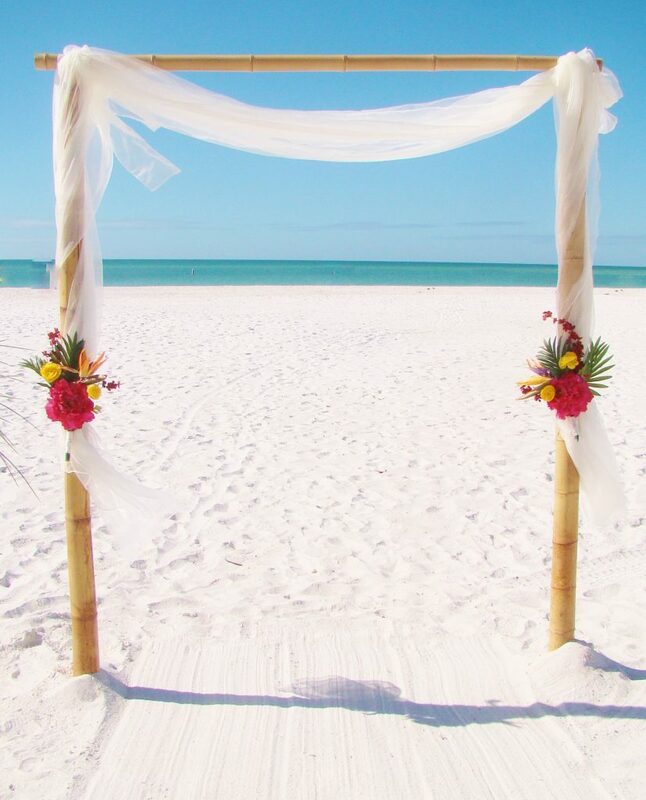 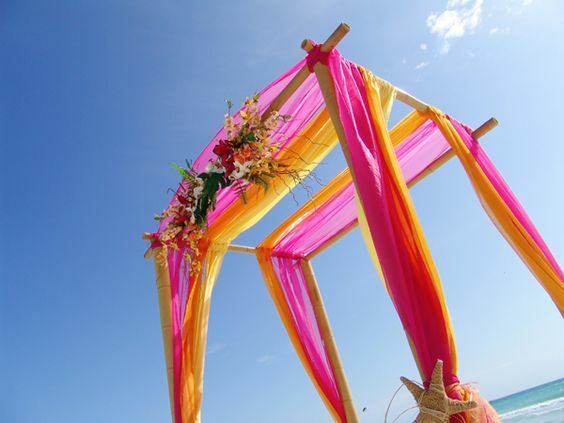 Beach wedding cake ideas: Beach and floral themed weddings cakes are available for our full service brides and are included in our reception packages. 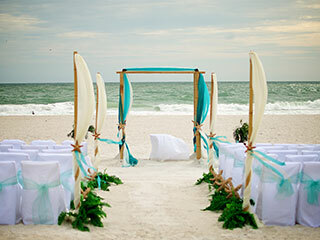 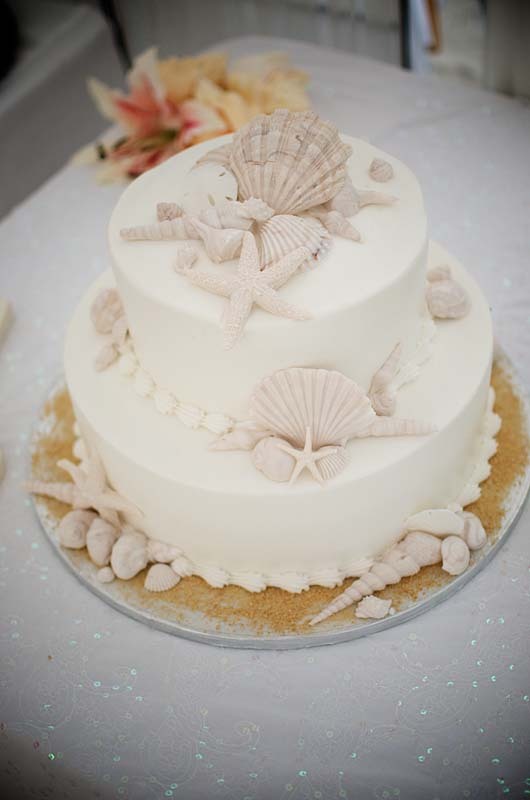 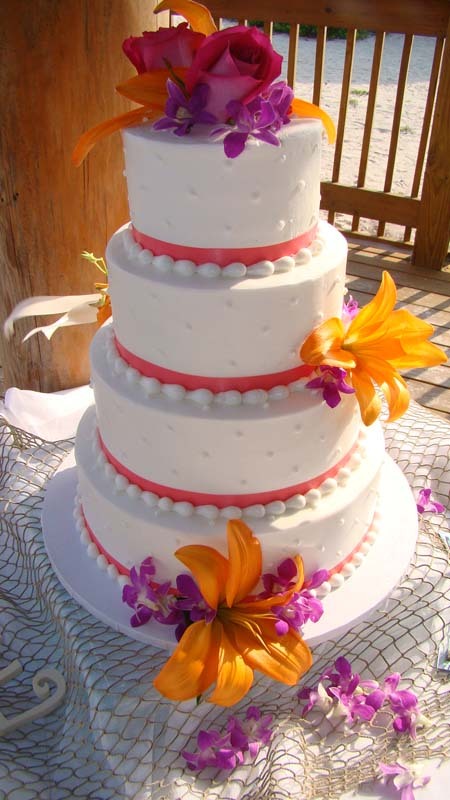 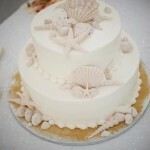 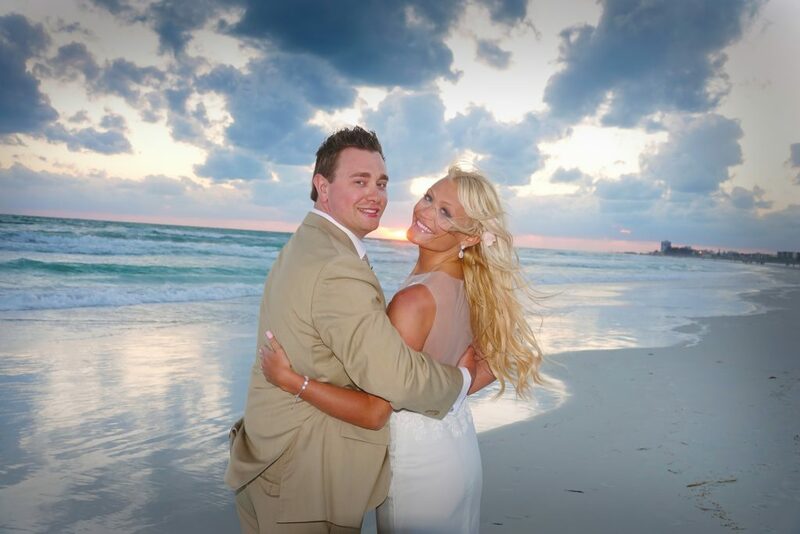 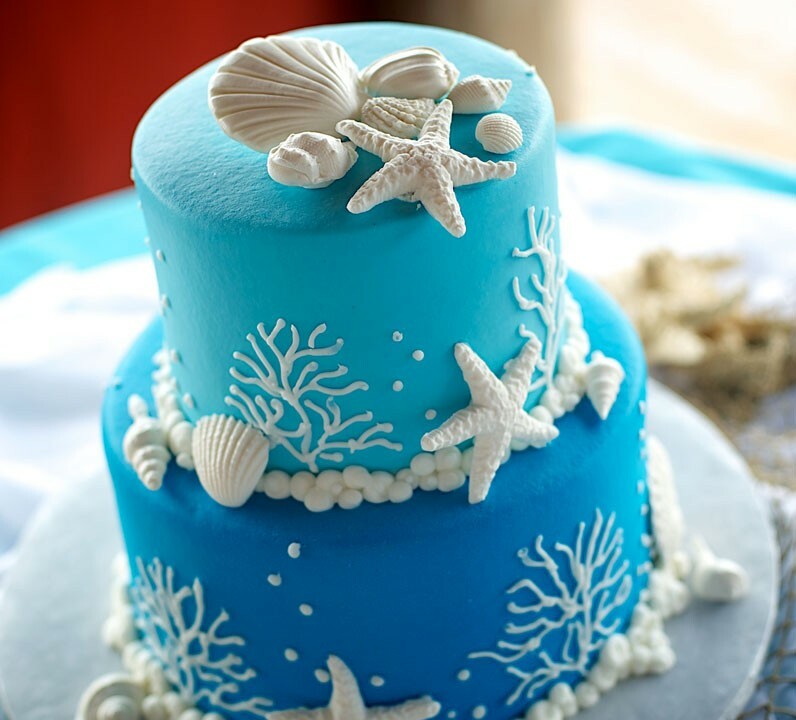 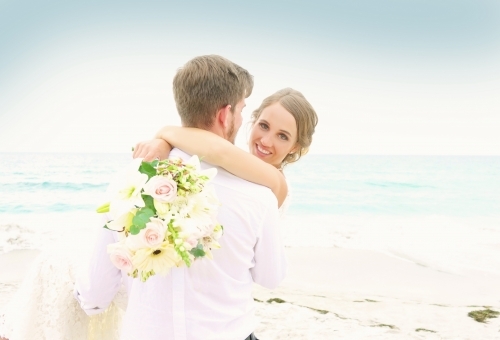 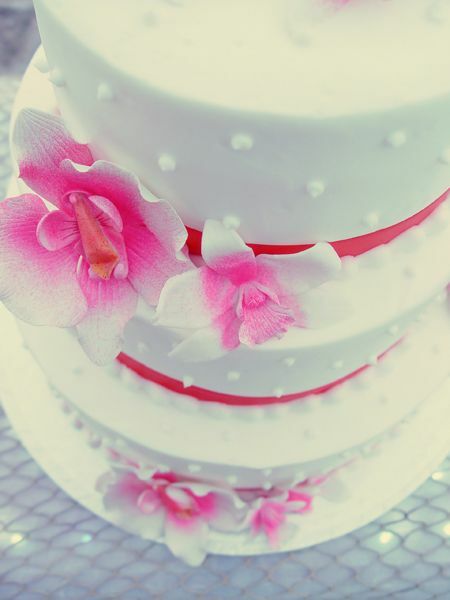 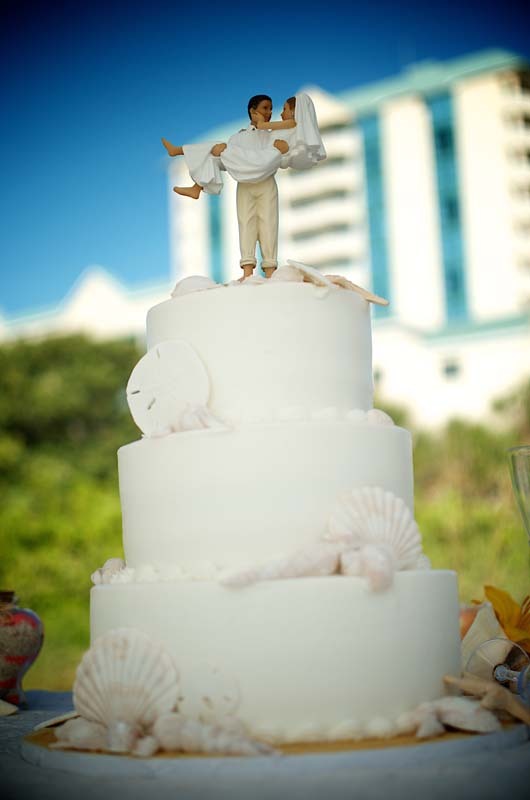 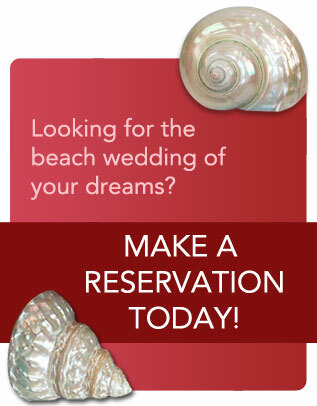 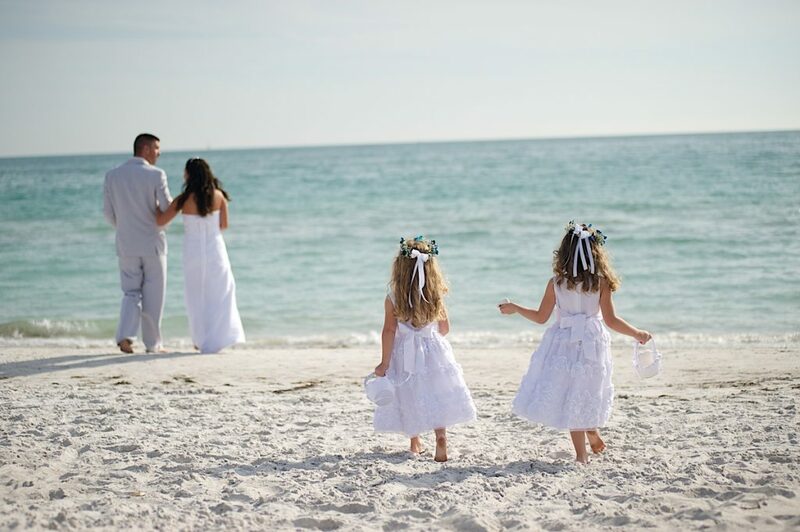 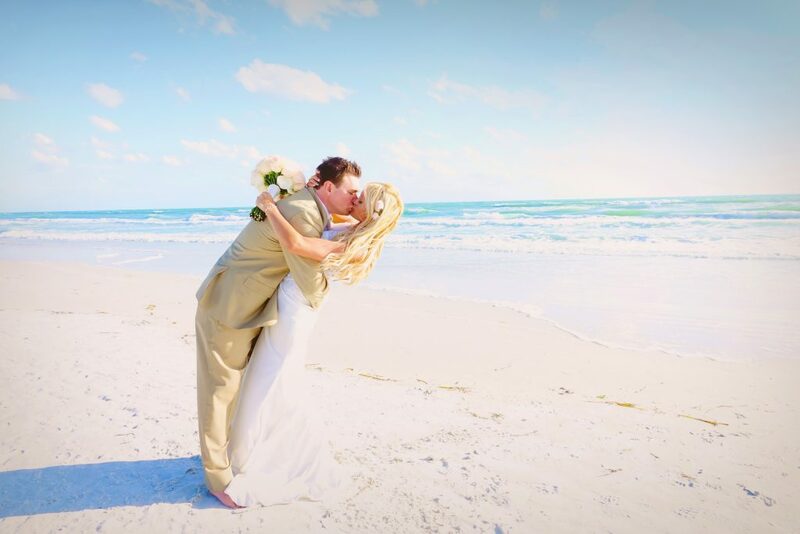 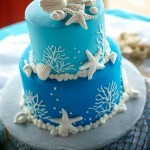 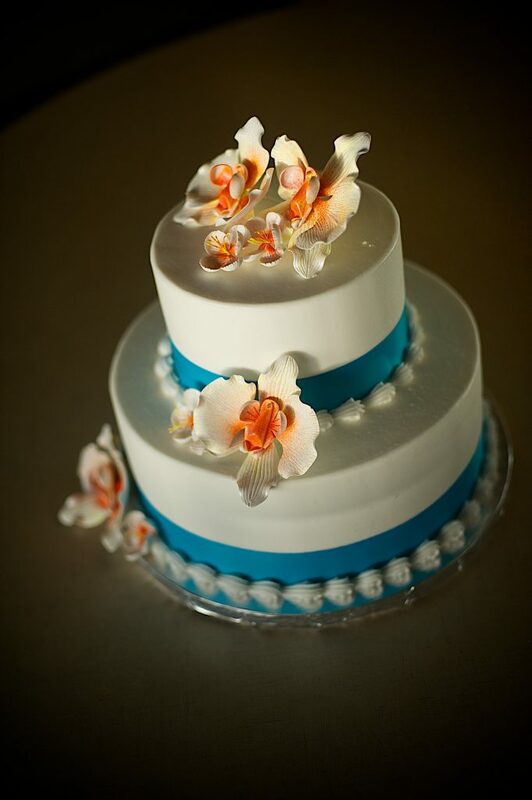 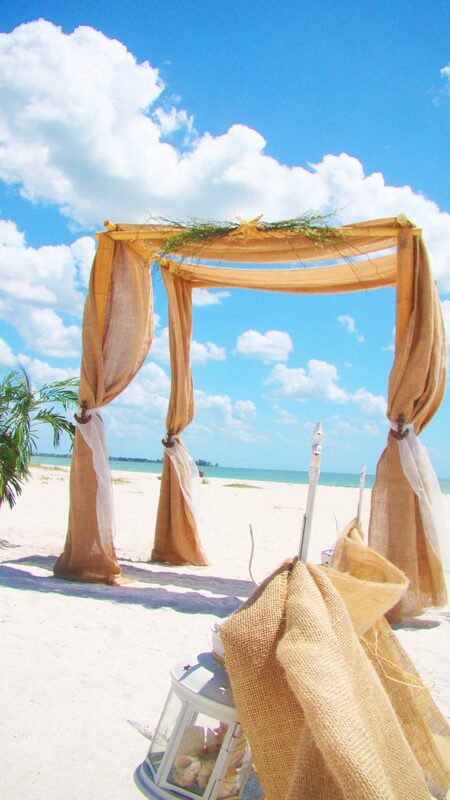 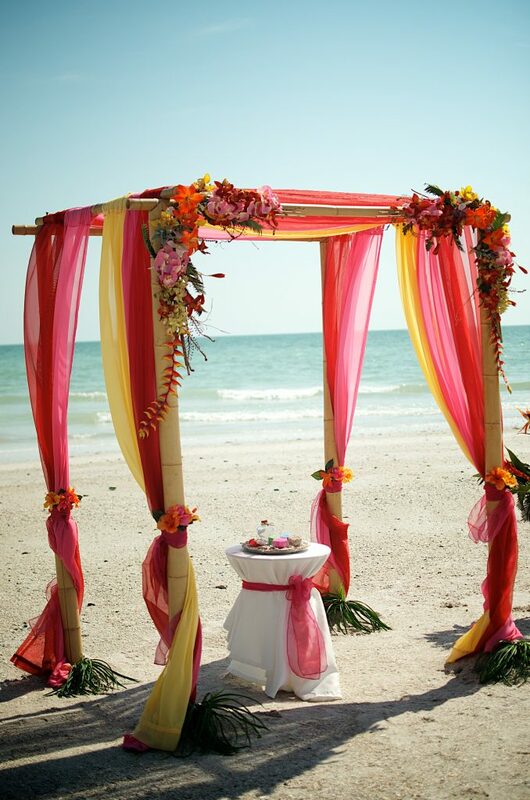 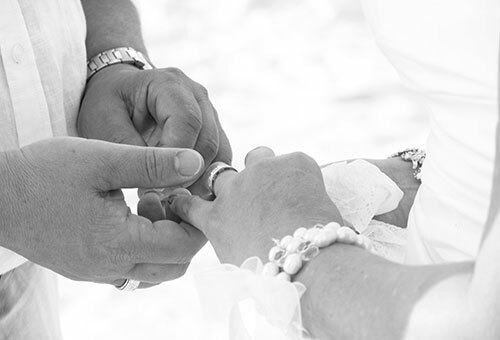 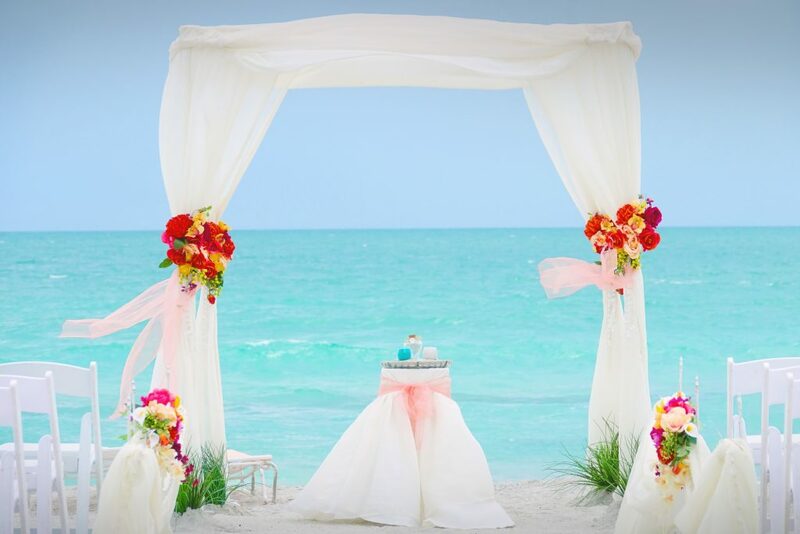 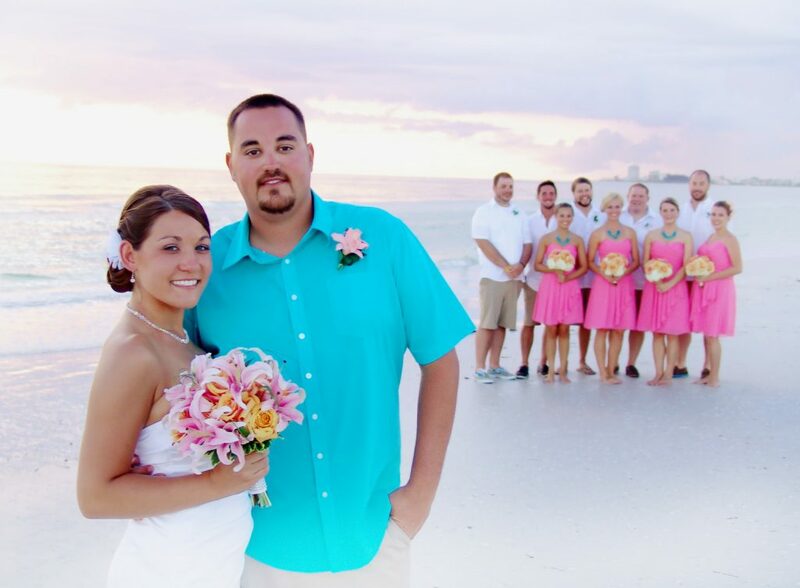 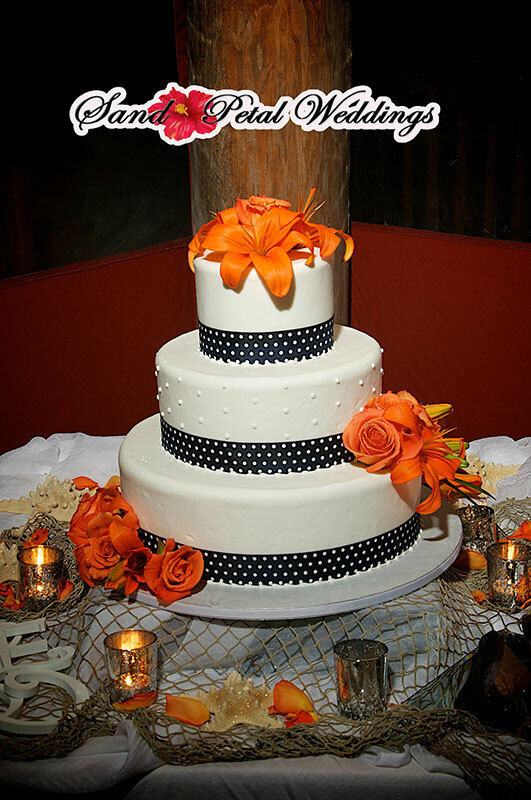 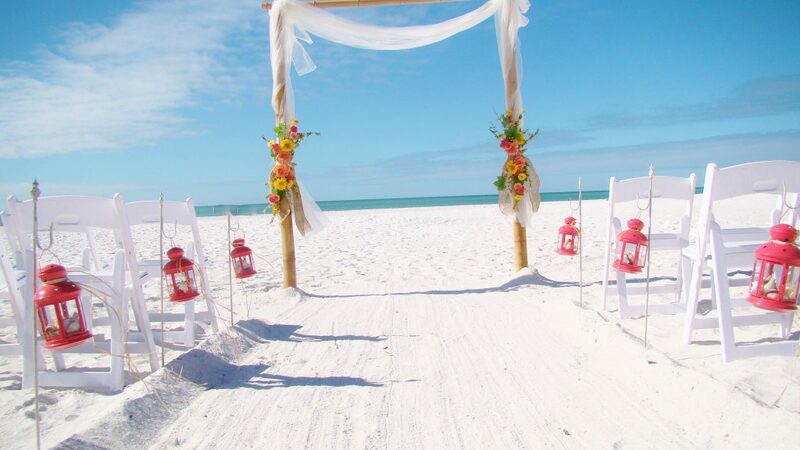 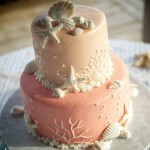 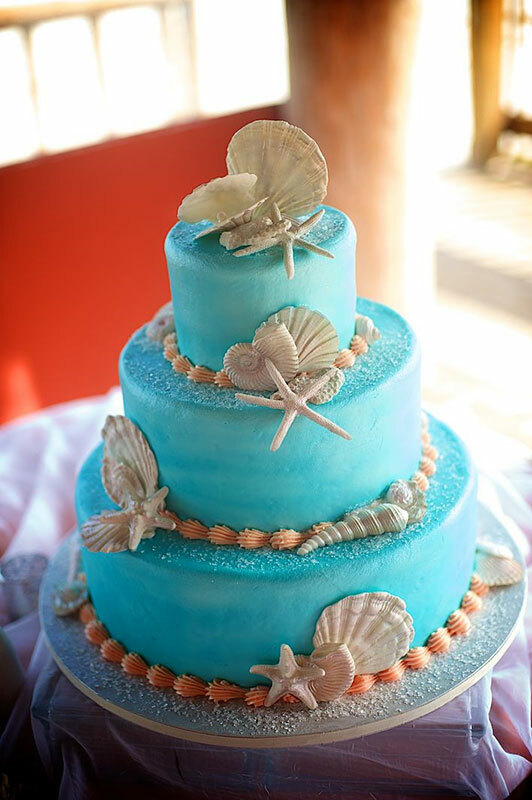 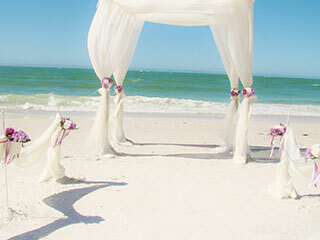 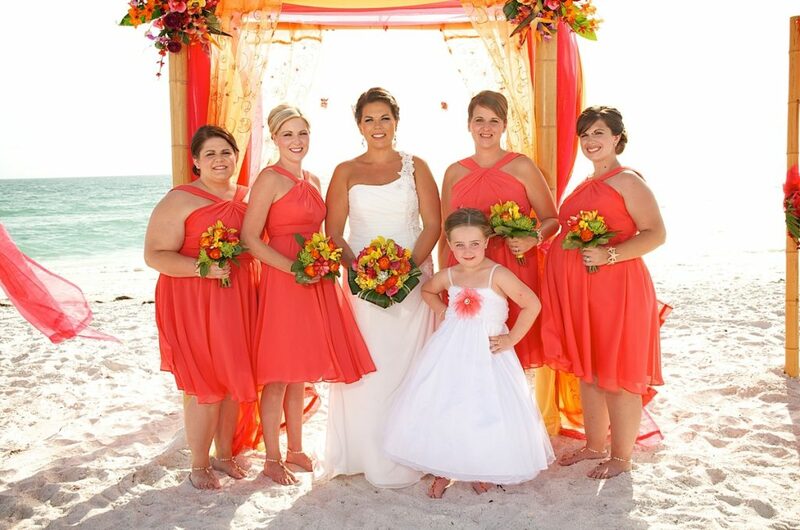 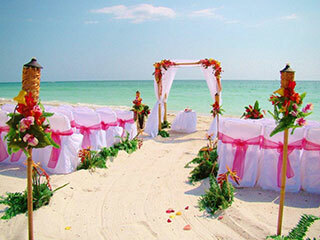 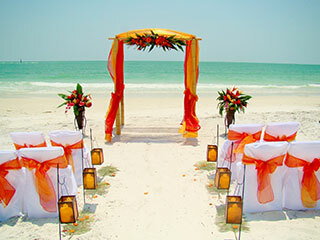 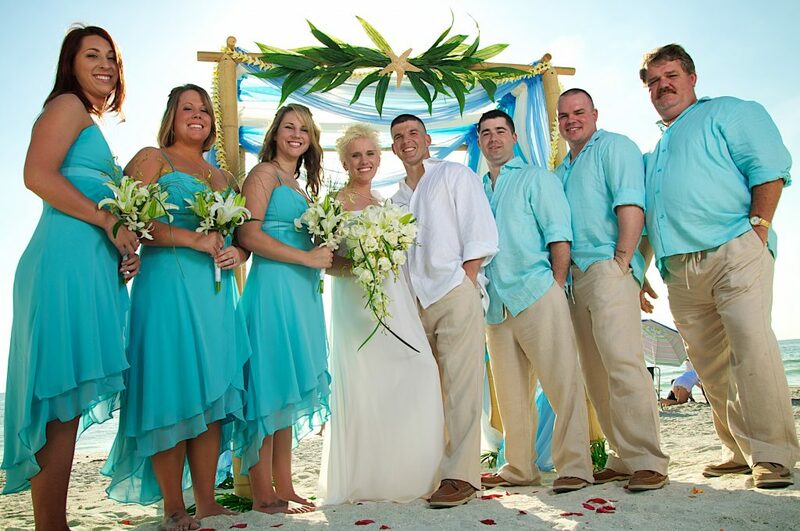 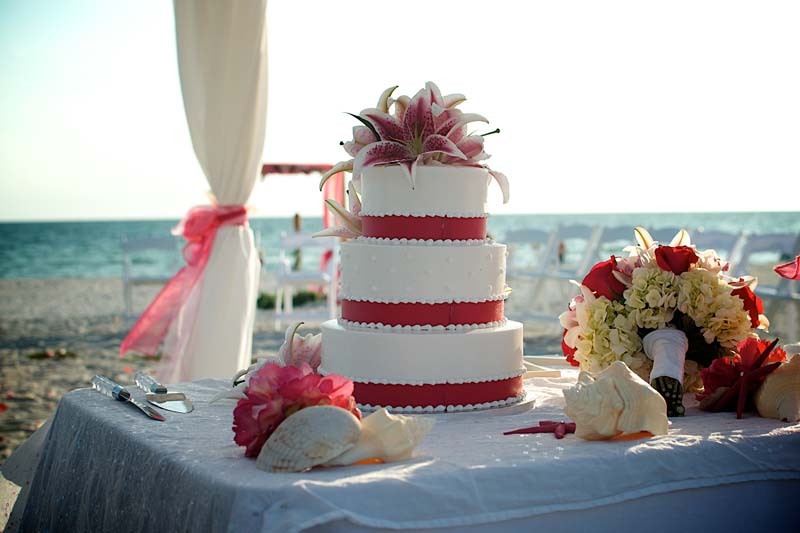 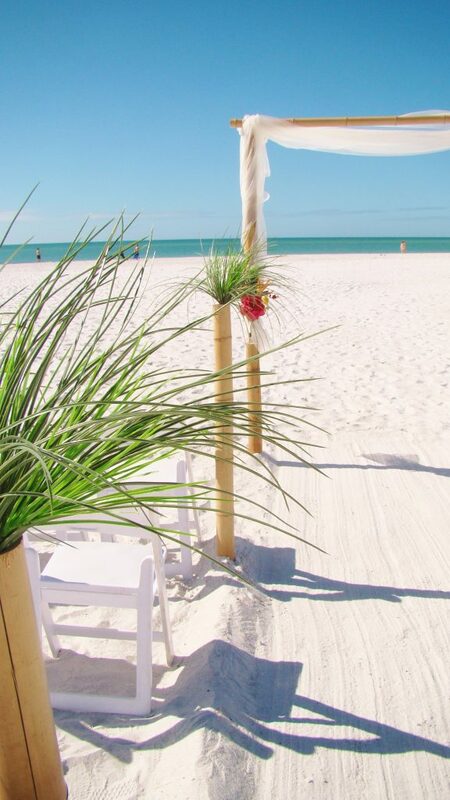 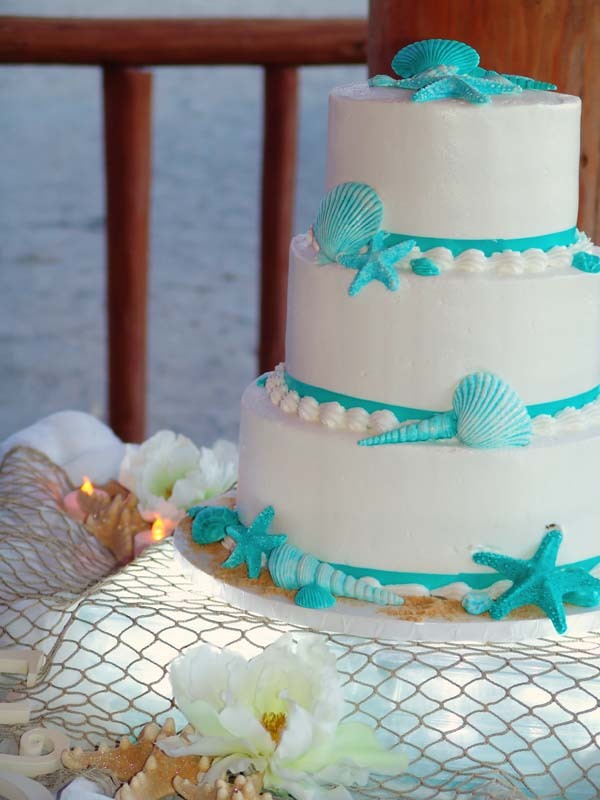 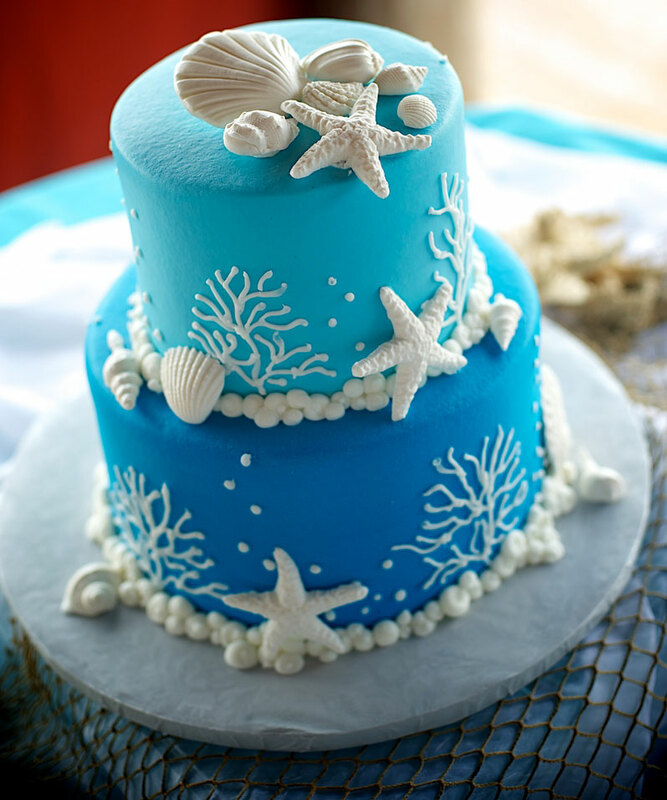 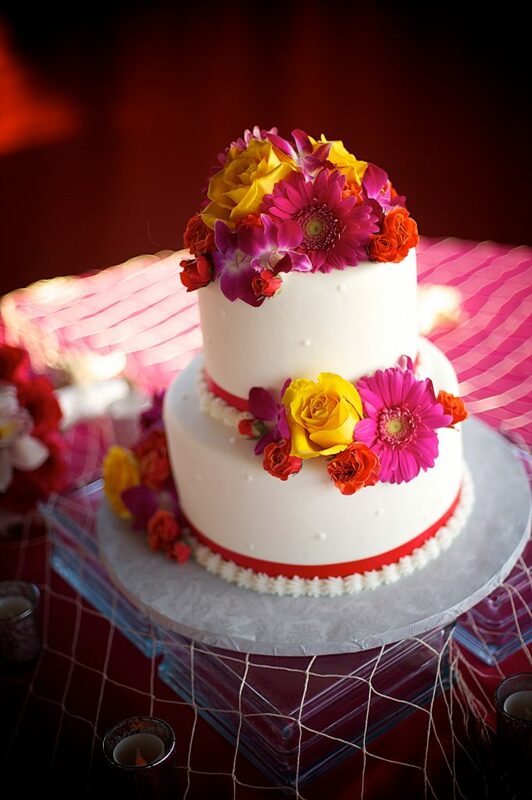 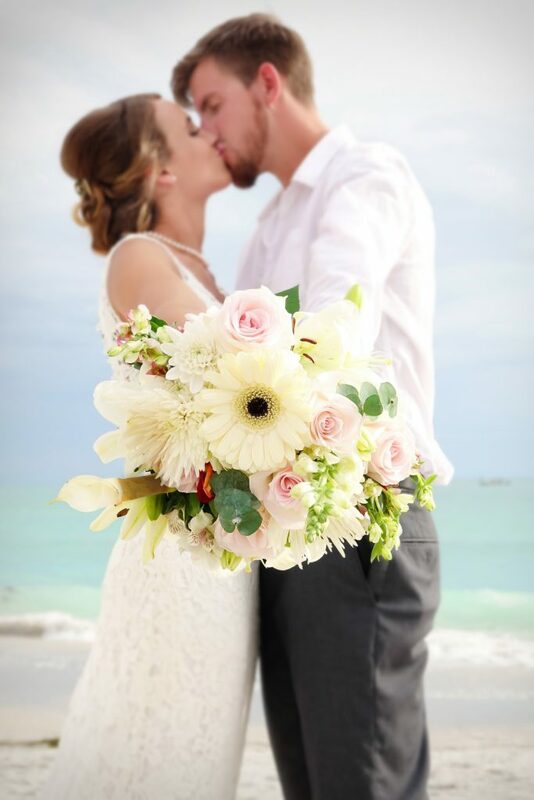 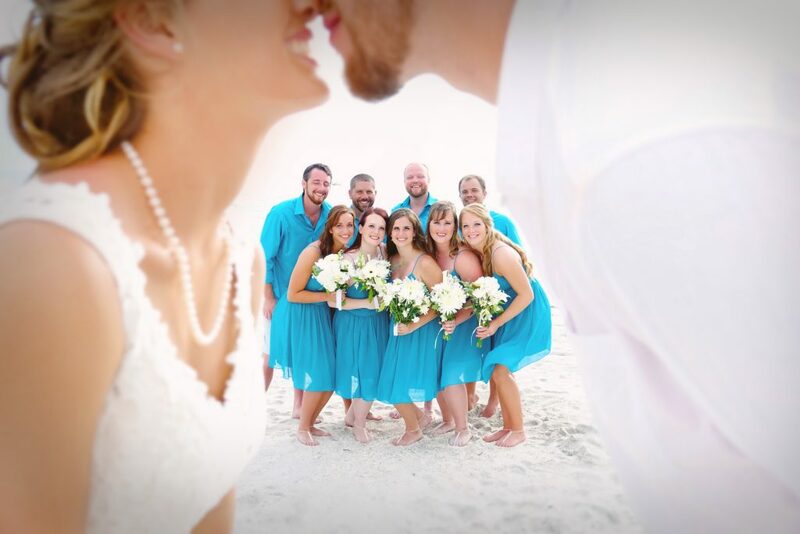 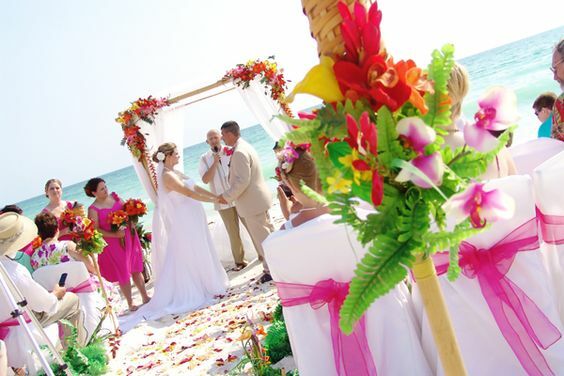 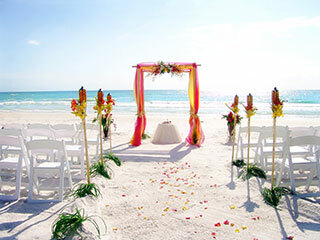 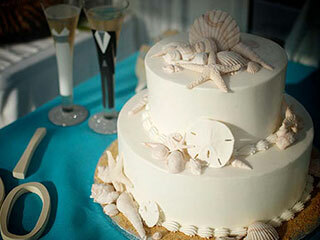 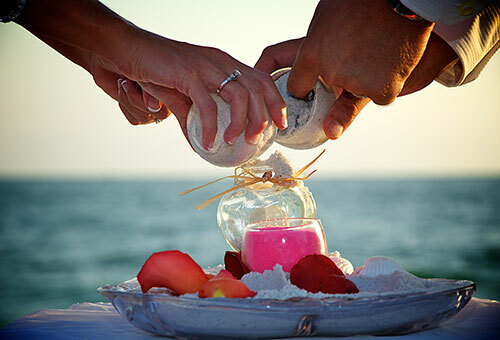 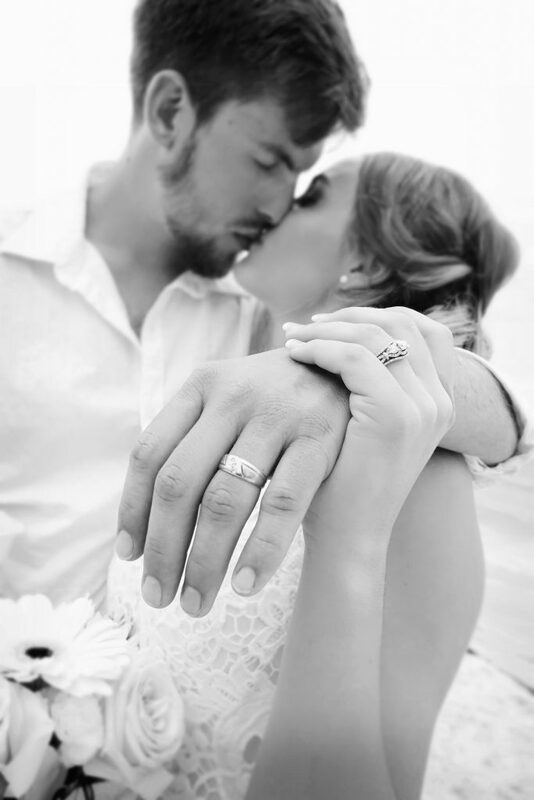 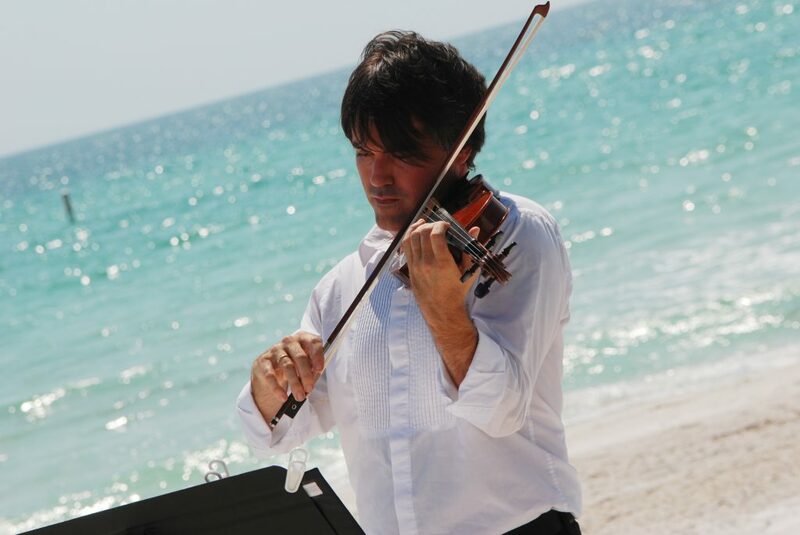 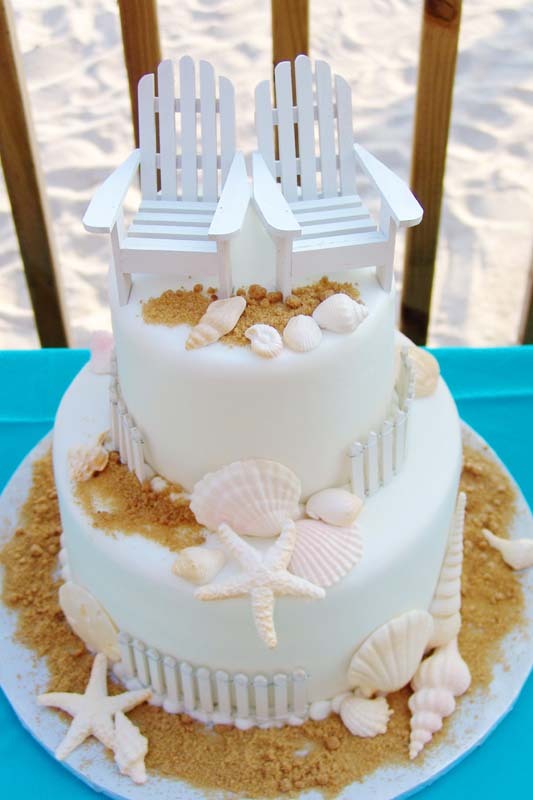 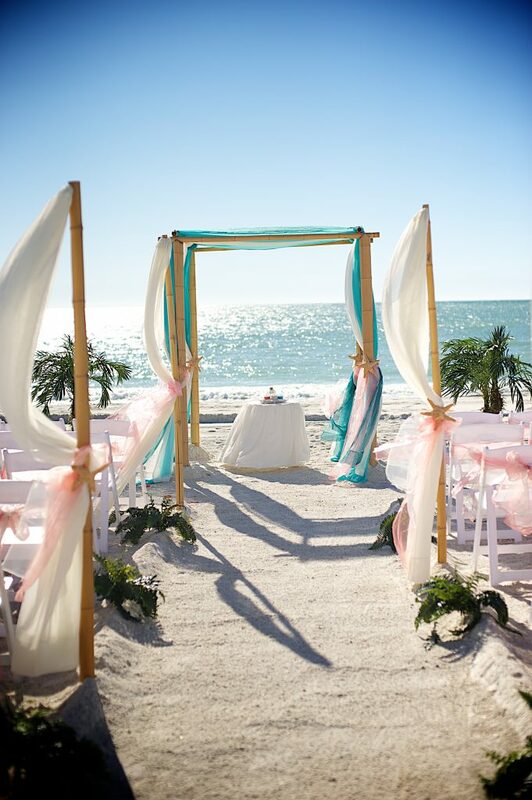 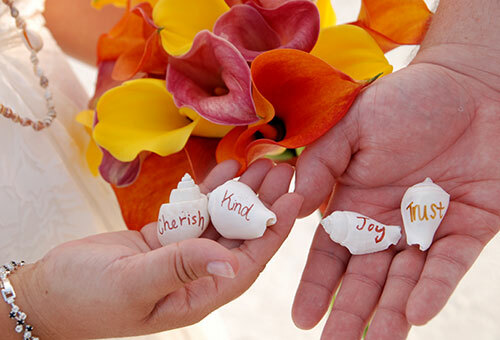 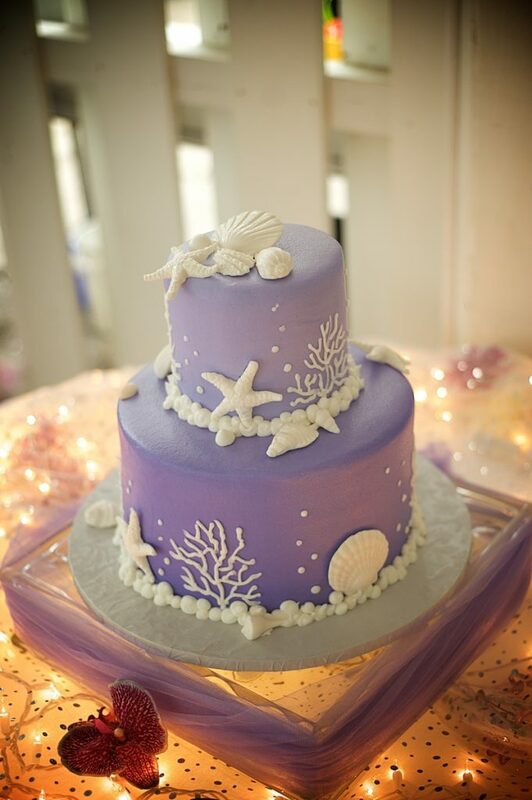 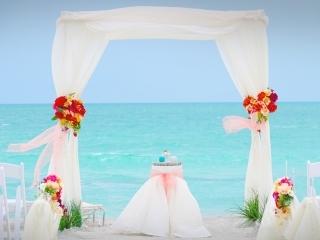 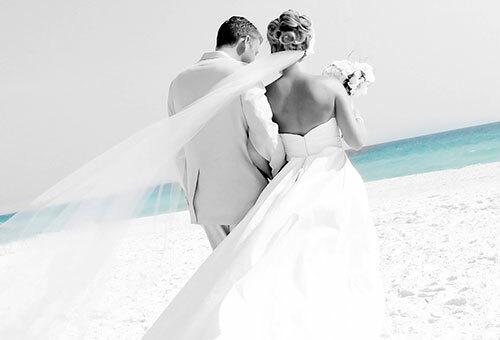 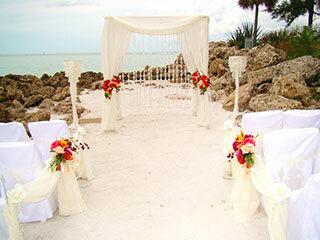 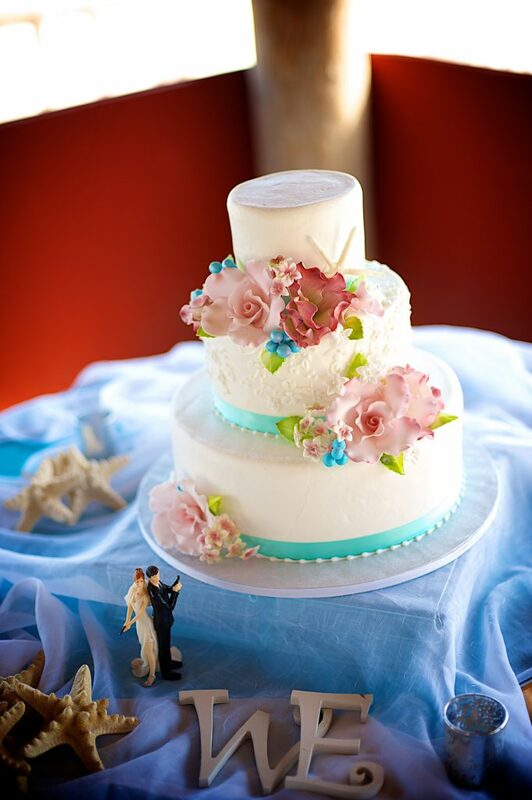 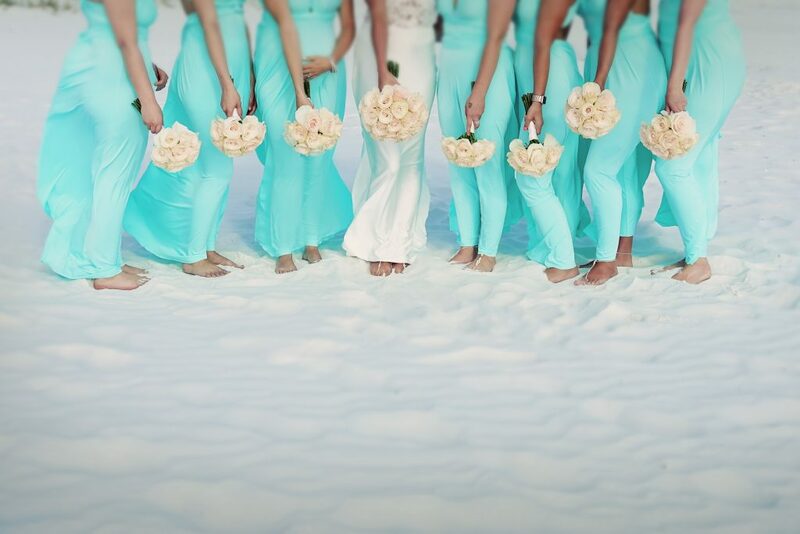 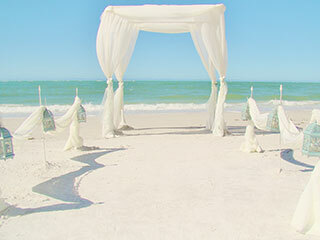 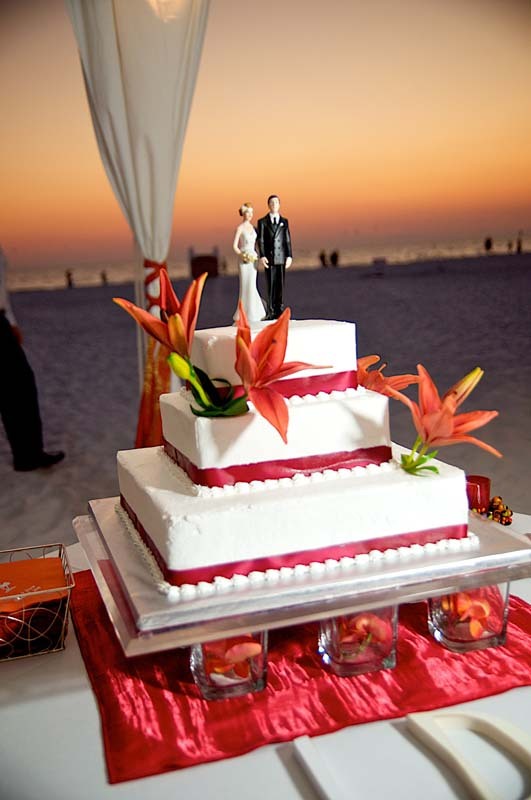 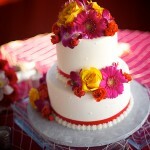 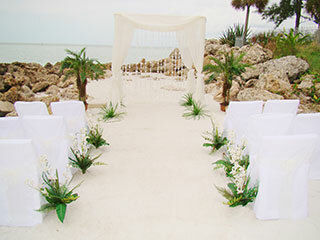 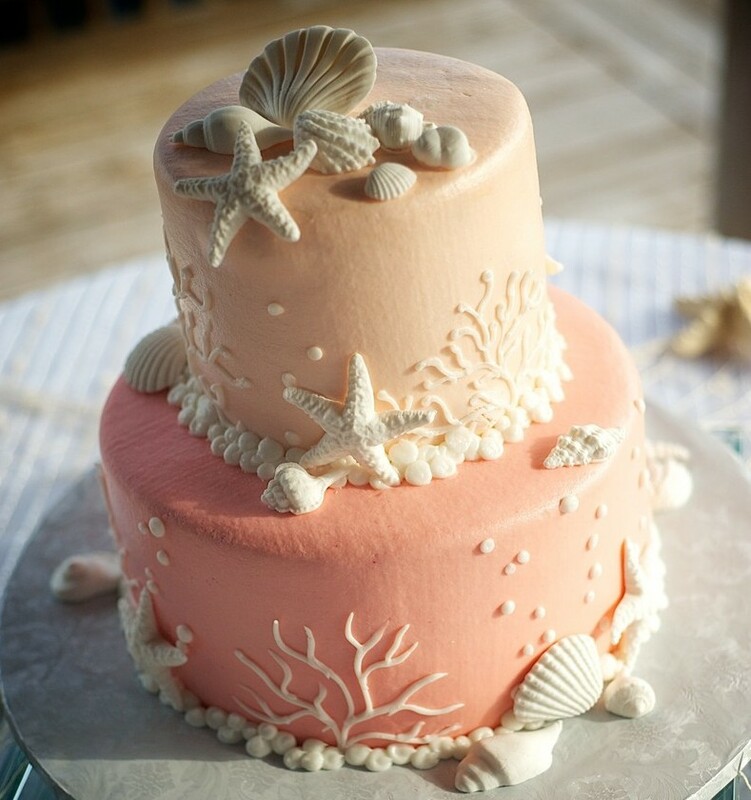 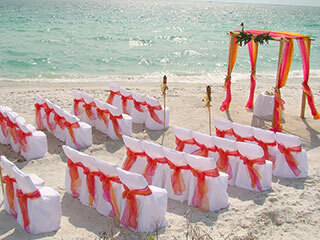 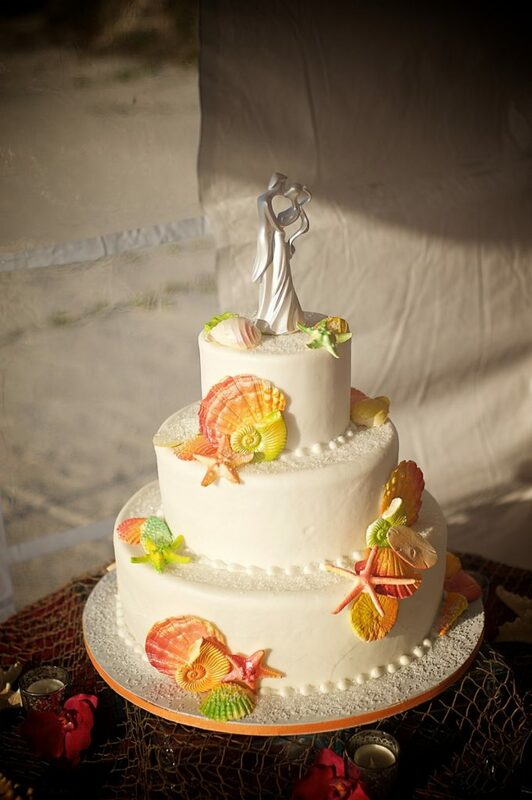 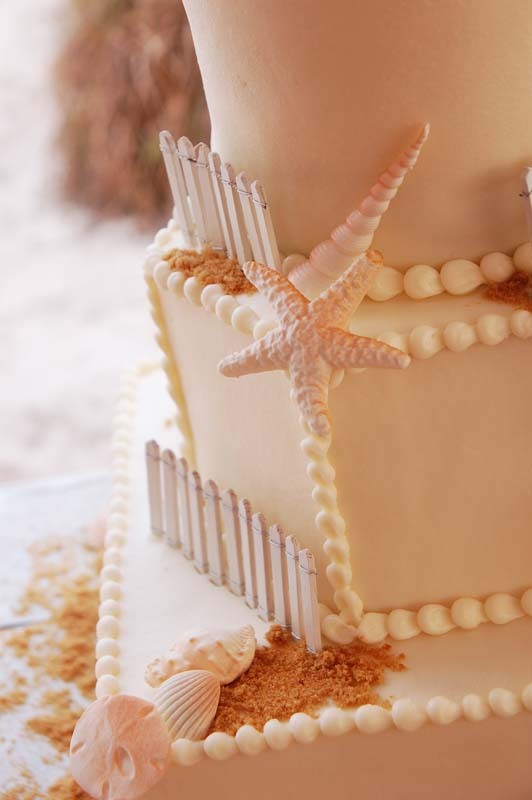 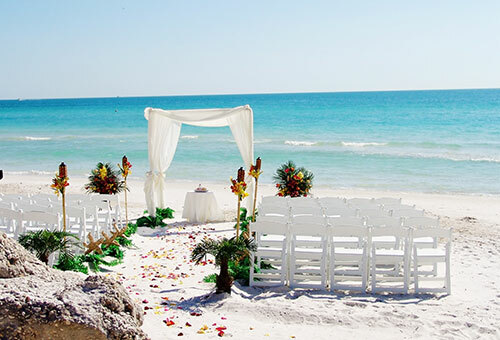 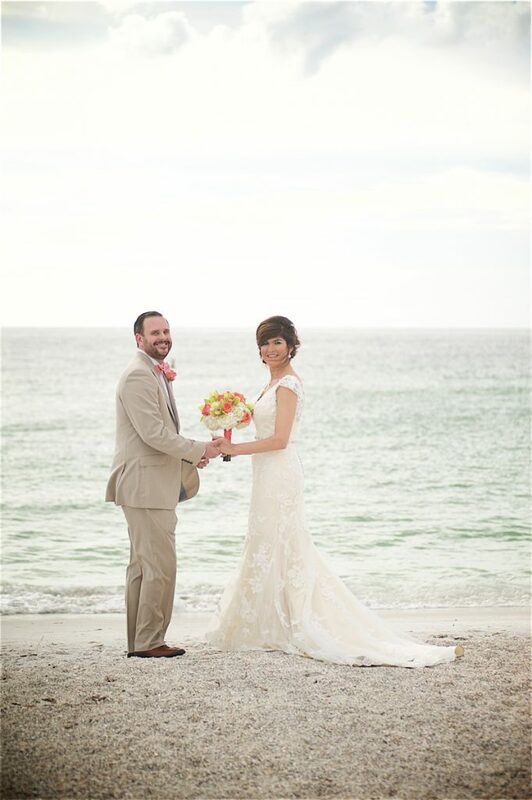 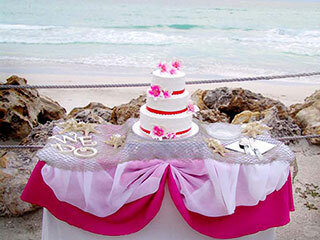 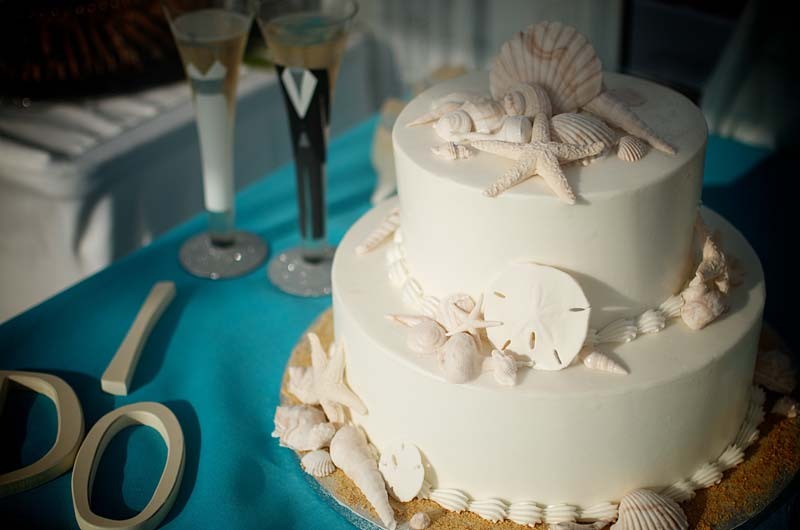 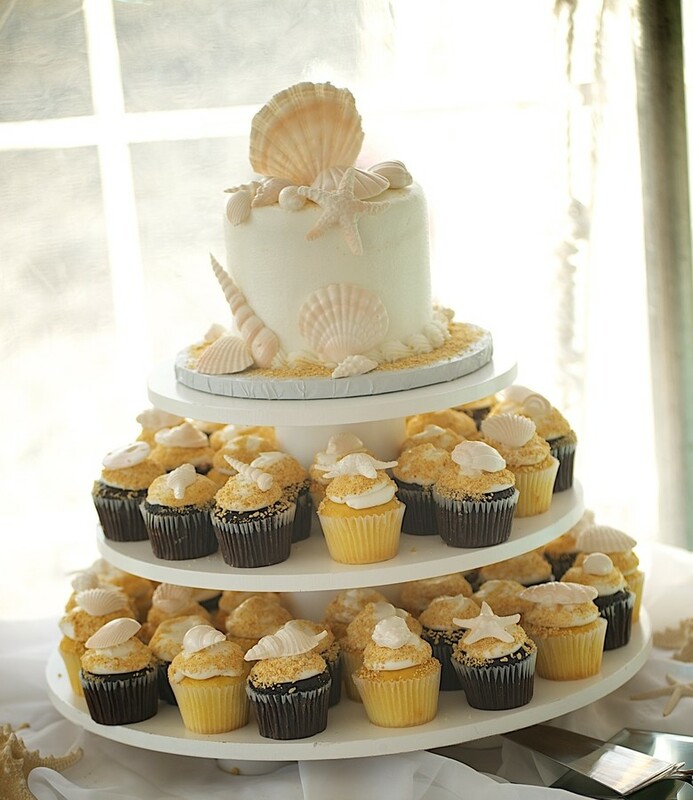 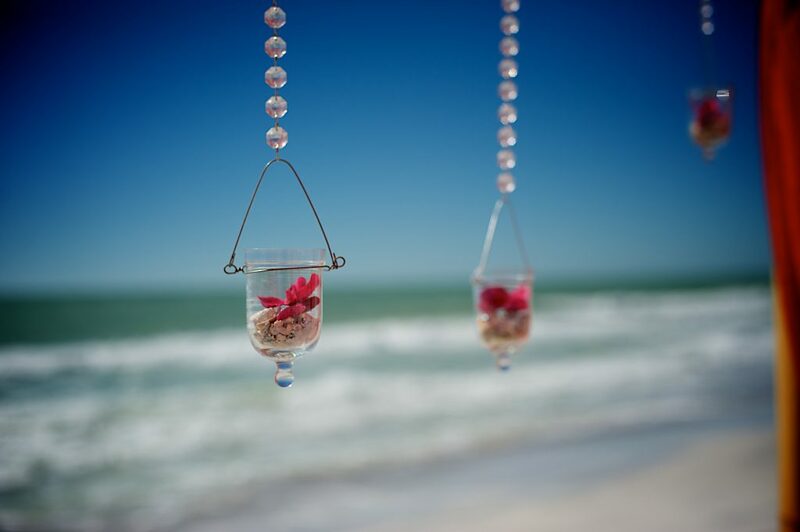 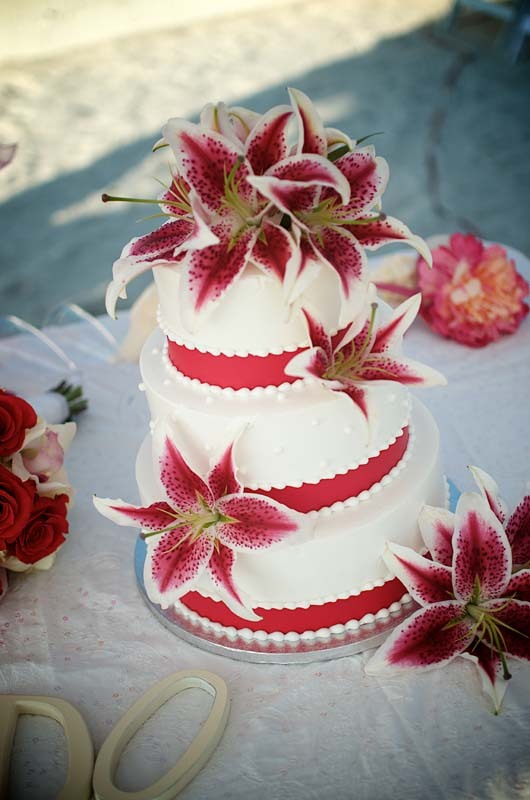 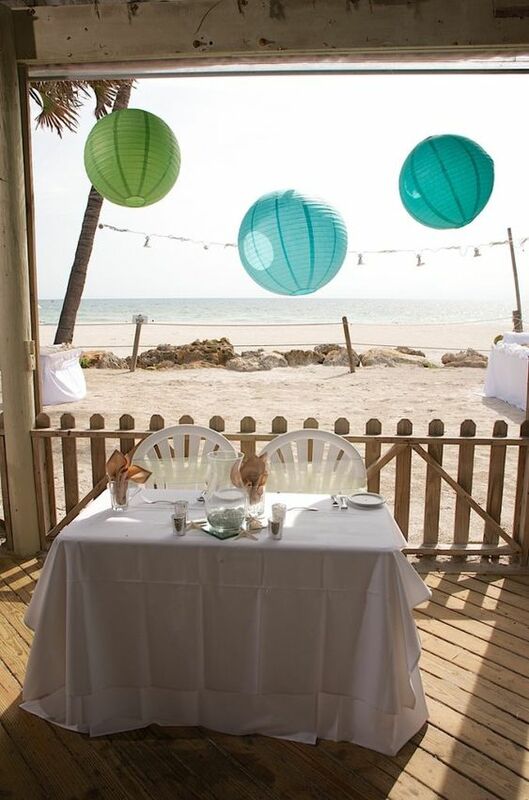 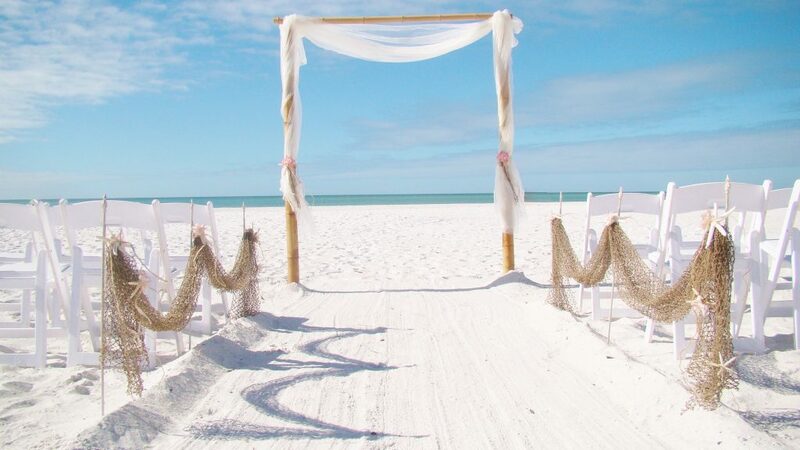 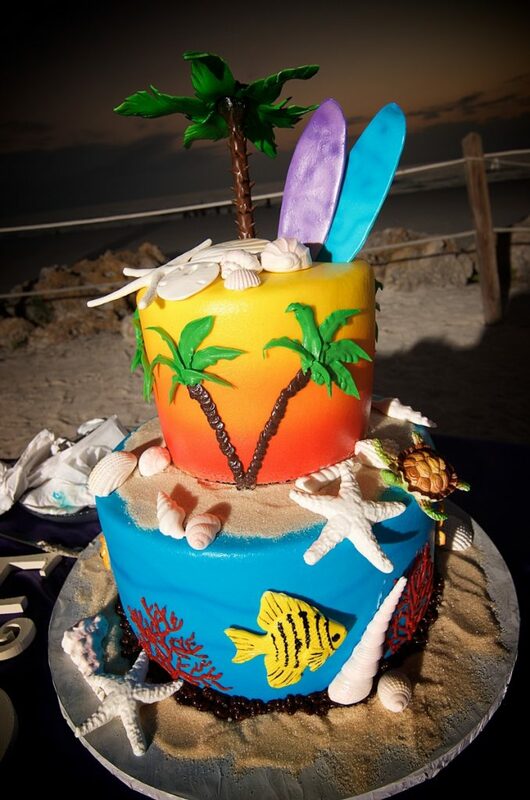 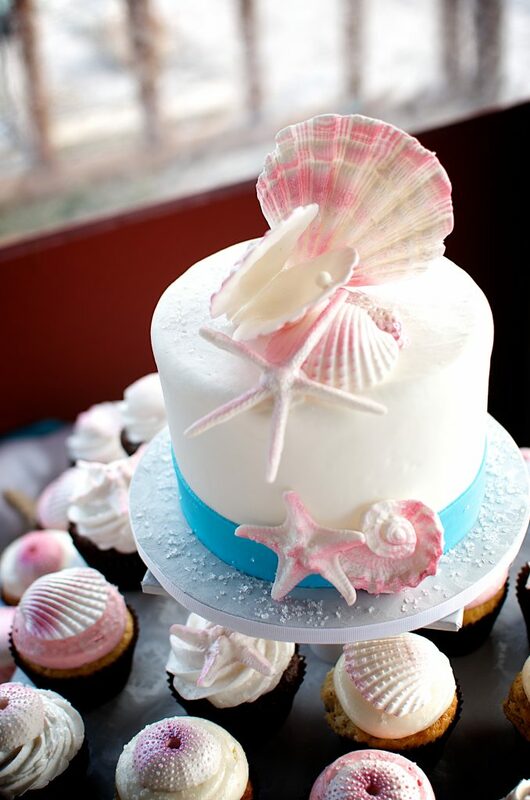 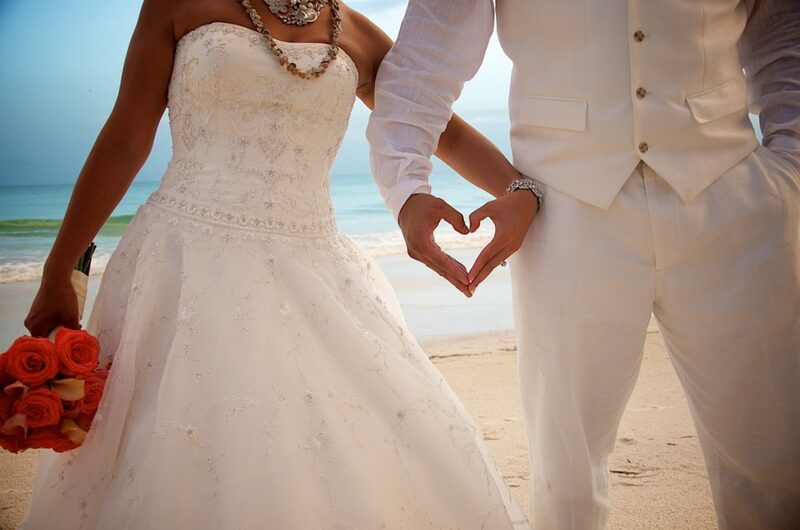 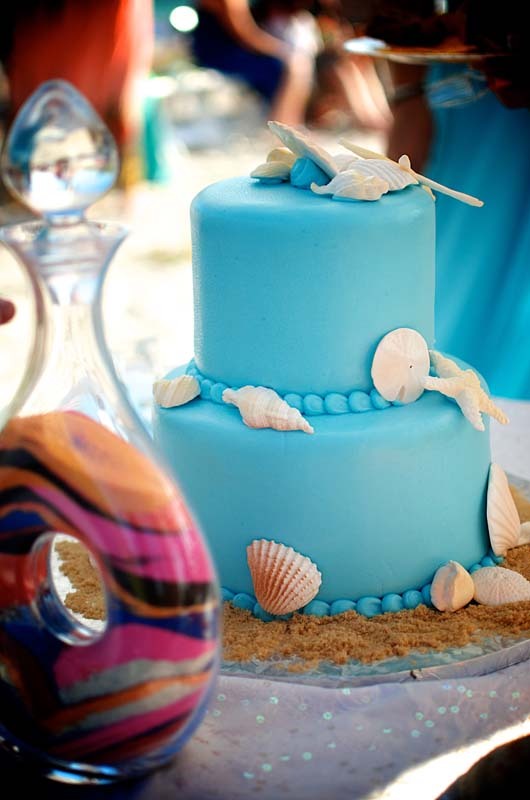 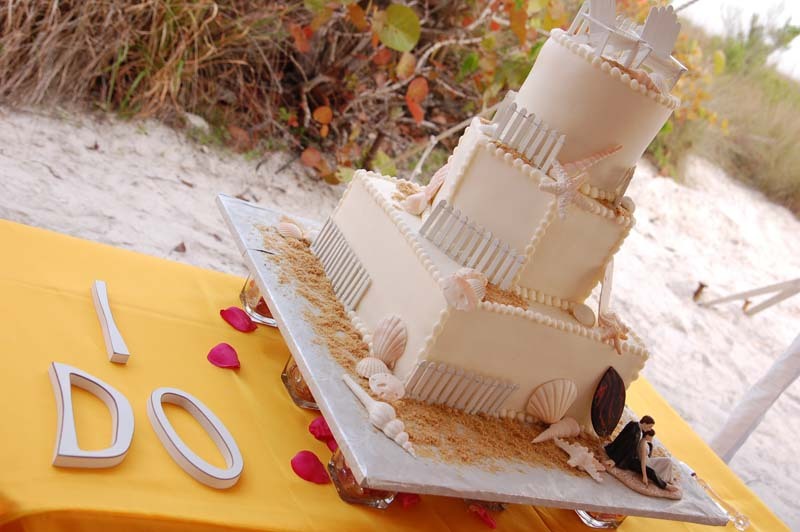 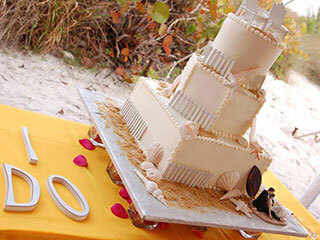 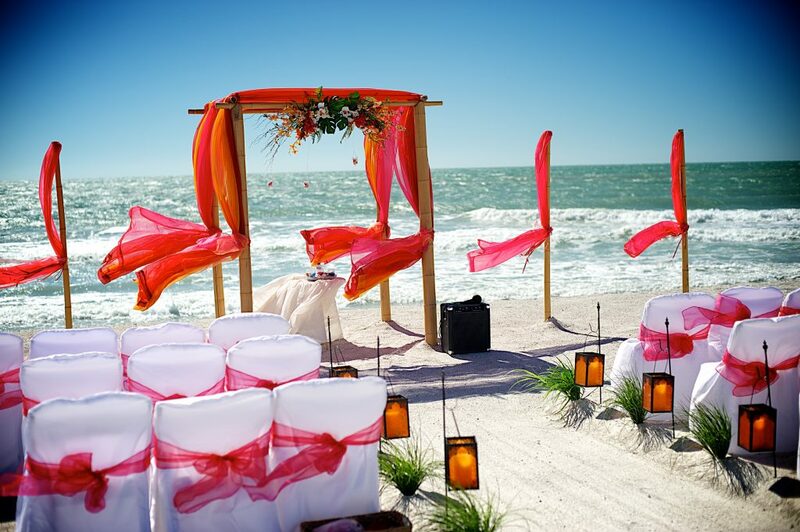 Browse our beach wedding cake flavors, filling and designs! 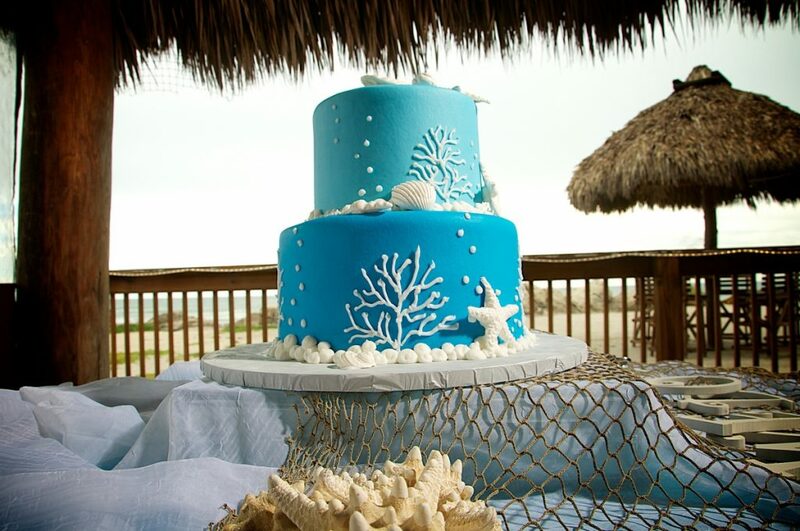 Customization is always an option! 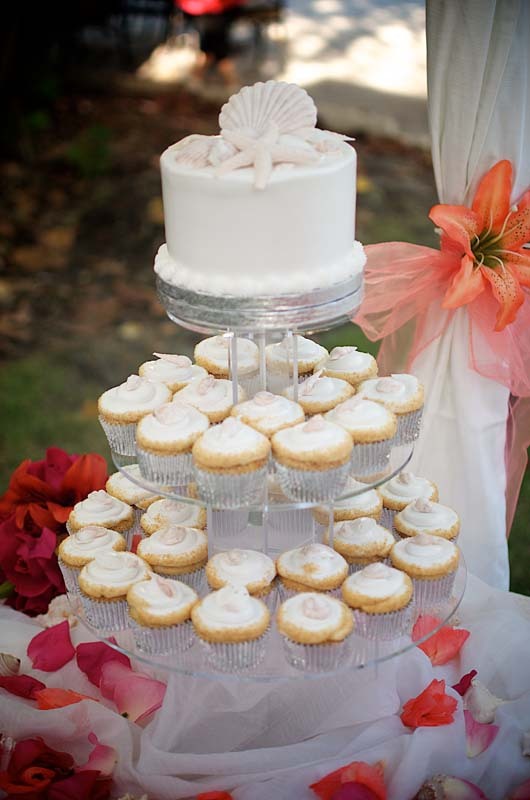 French Vanilla cake layered with pastry cream and either strawberry filling or European raspberry filling, then iced in a Vanilla Buttercream. 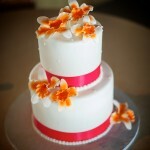 Chocolate fudge cake layered with a cappuccino cream and chocolate mousse and then iced with Vanilla Buttercream. 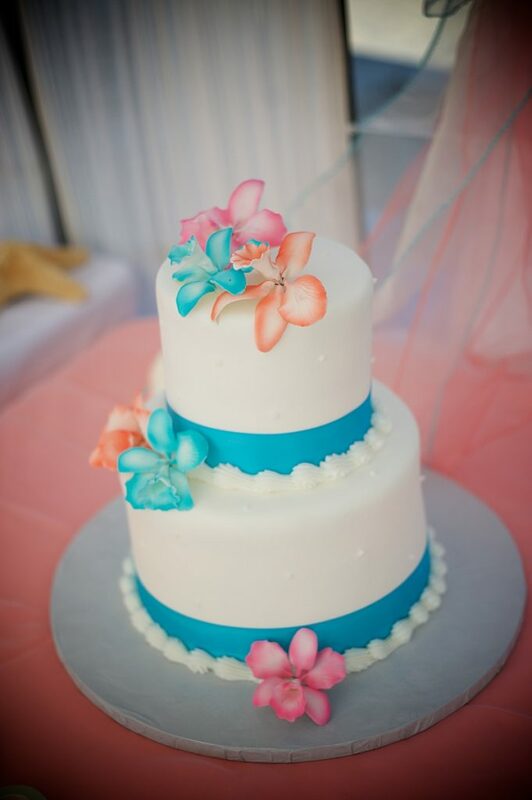 White coconut flavored cake layered with a lemon pastry cream and coconut cream filling, then iced with Vanilla Buttercream. 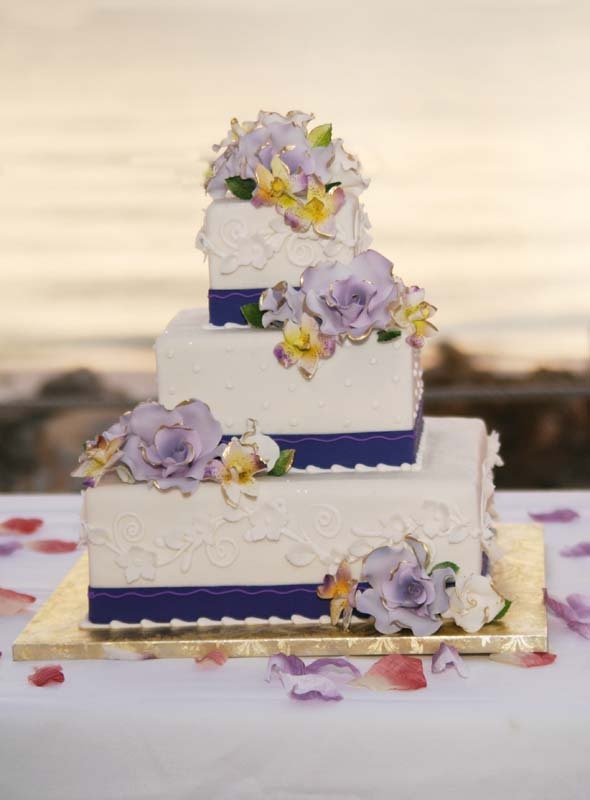 Alternating between layers of French Vanilla cake and Moist chocolate cake with dulce de’ leche mousse filling. 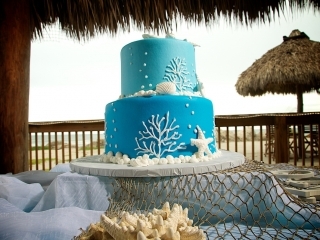 Moist chocolate fudge cake layered with Dutch chocolate fudge filling and chocolate mousse then iced with Vanilla Buttercream. 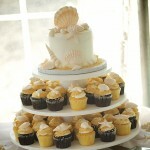 Yellow and chocolate marble cake layered with cookies and cream filling then iced with Vanilla Buttercream. 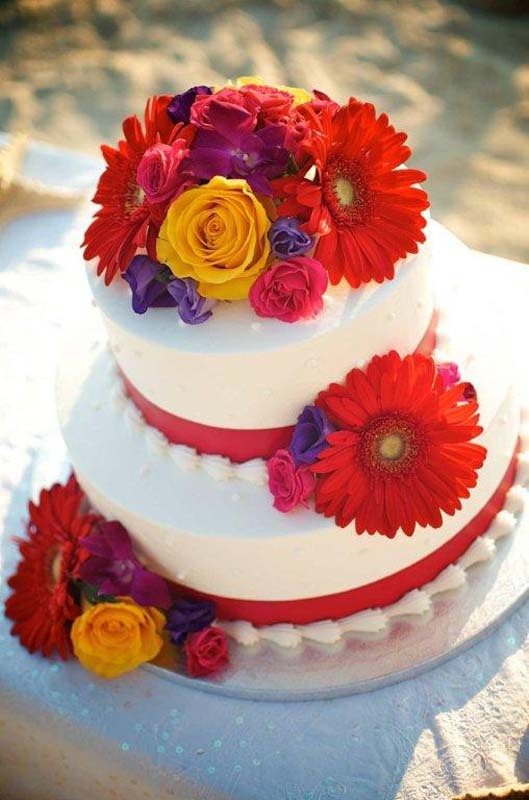 Moist chocolate cake with peanut butter cup filling. 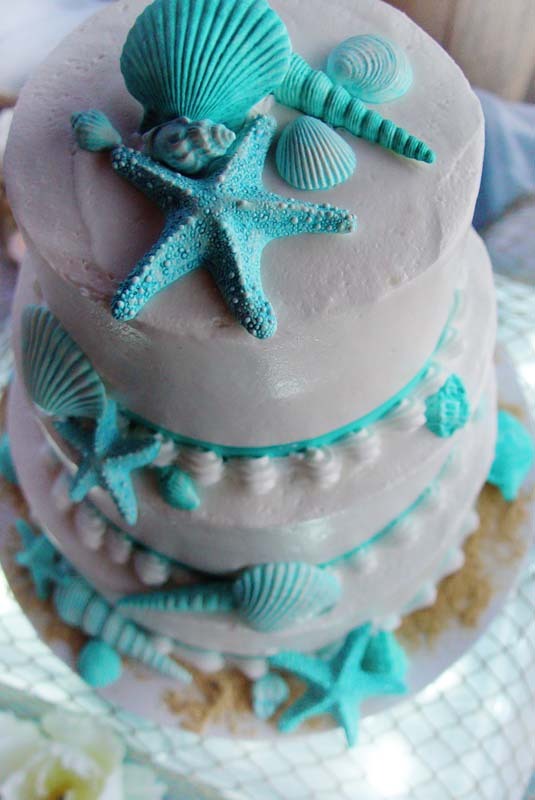 Key lime flavored cake with key lime mousse filling and Vanilla Buttercream frosting. 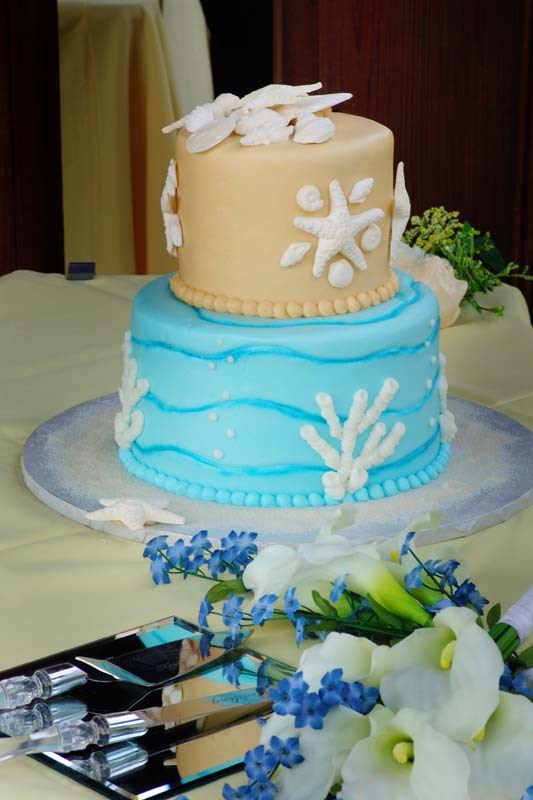 Vanilla cake with pastry cream & chocolate mousse filling, iced with Vanilla Buttercream. 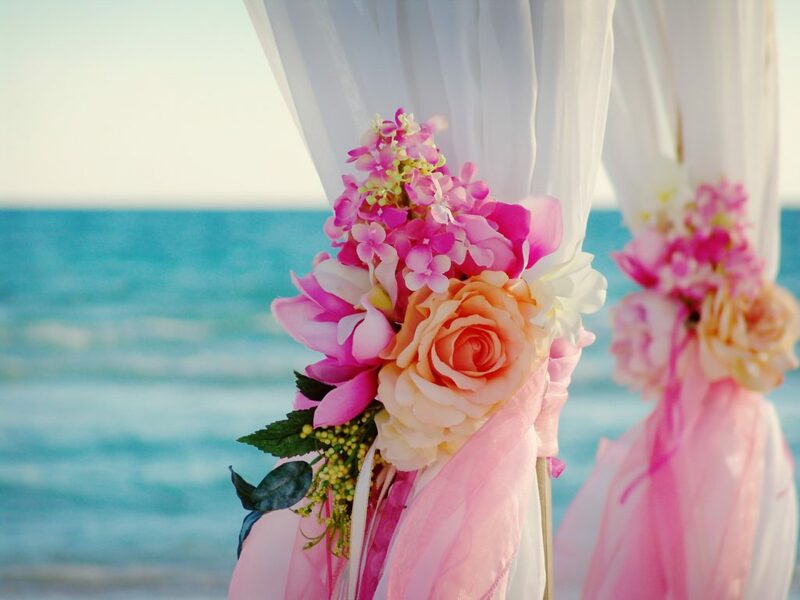 Your choice in colored ribbon. 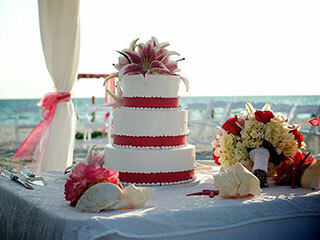 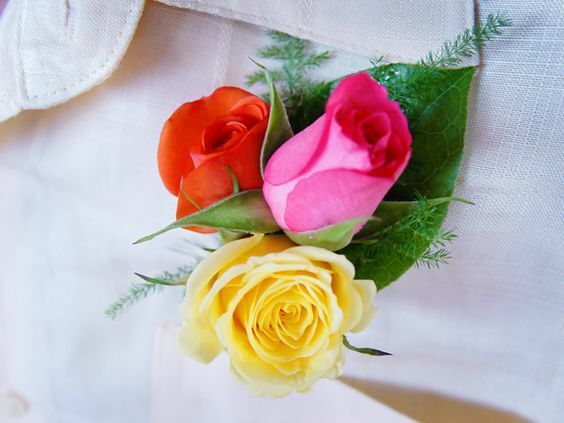 Fresh flowers are not included and must be provided by Bride. 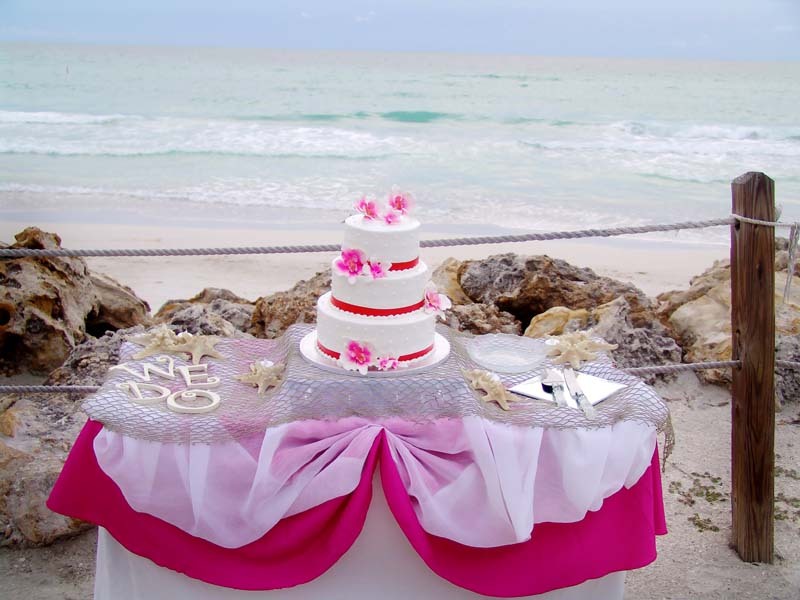 Tier amounts are determined by your group size and not by pictured cake. 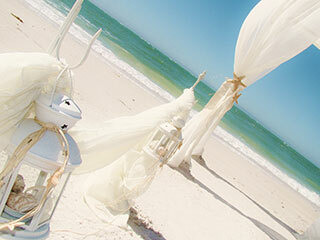 It is only the design style you are choosing at this time. 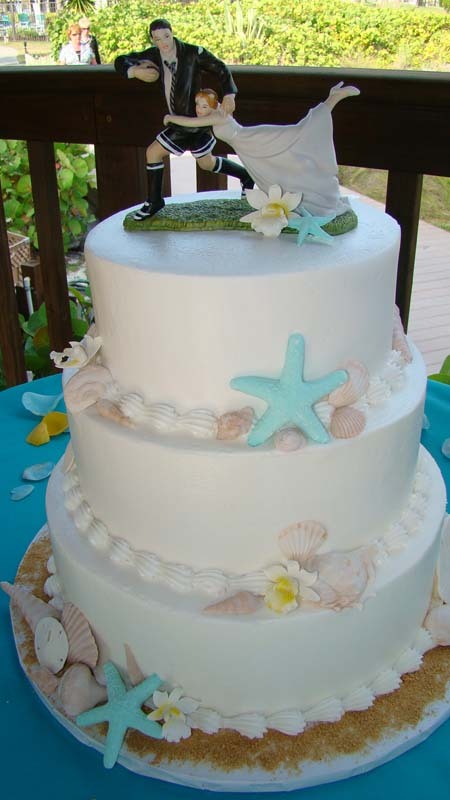 Fondant, top-tier to save, cake topper and other specialty items are not included, but may be added at an additional cost.